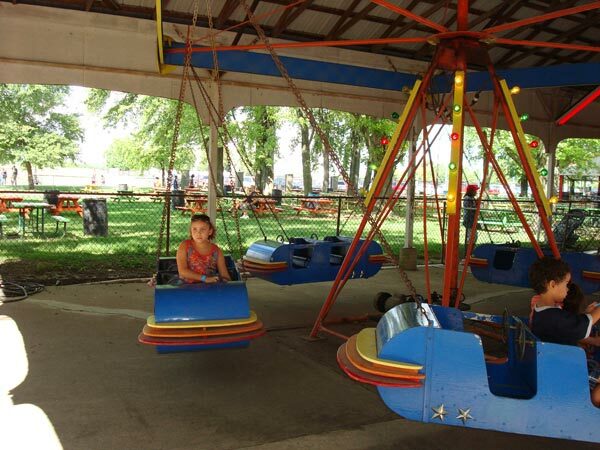 plus several days in July for the 4H Community Fair. 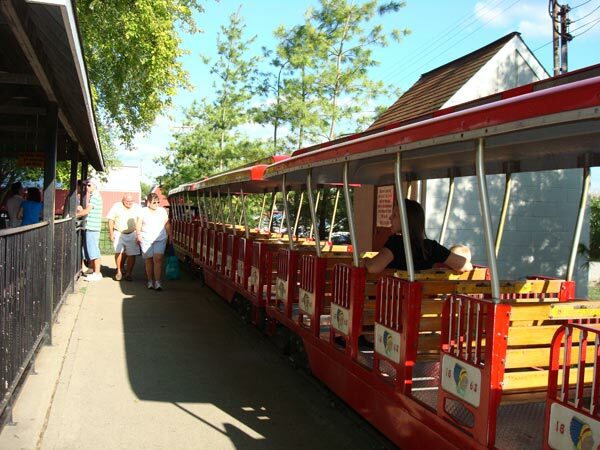 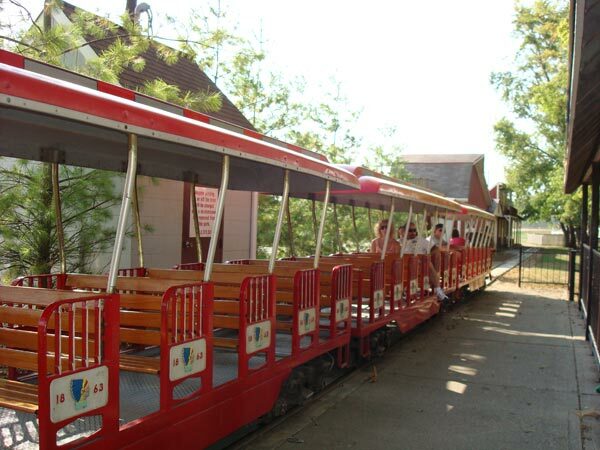 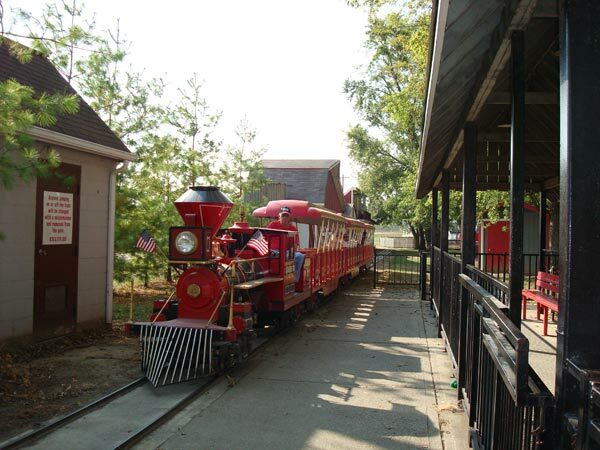 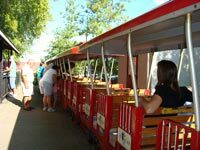 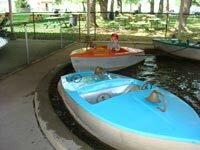 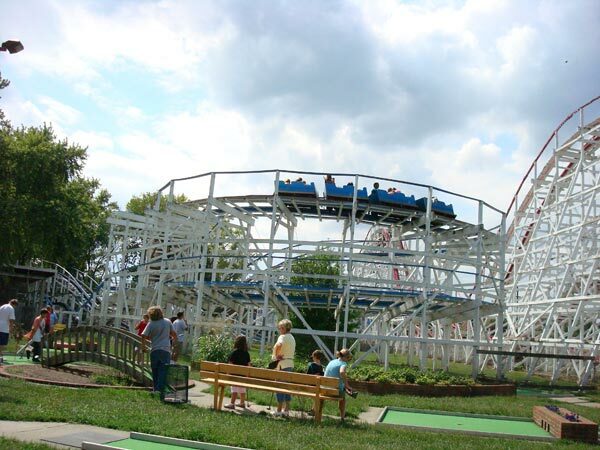 Stricker's Grove is available to rent or open to the public several times a year. 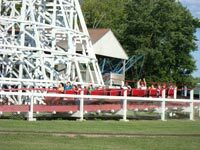 Visit our Events page to see the days the park is open. 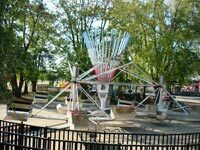 If you are an organization and would like to know more about renting the park, please see our Park page. 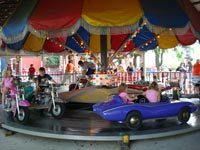 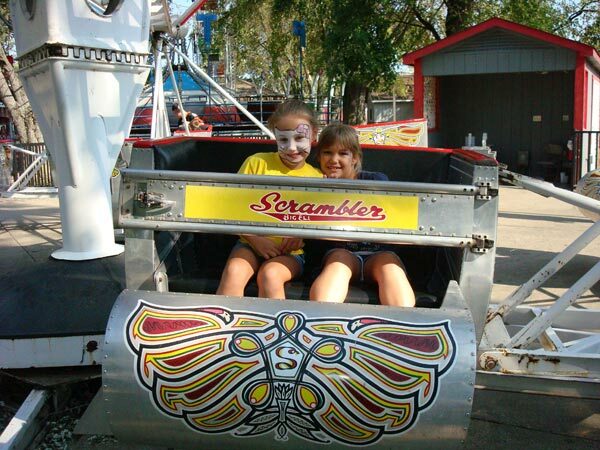 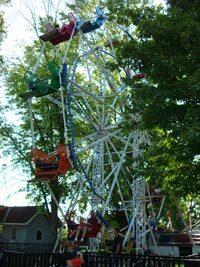 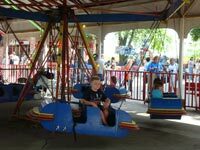 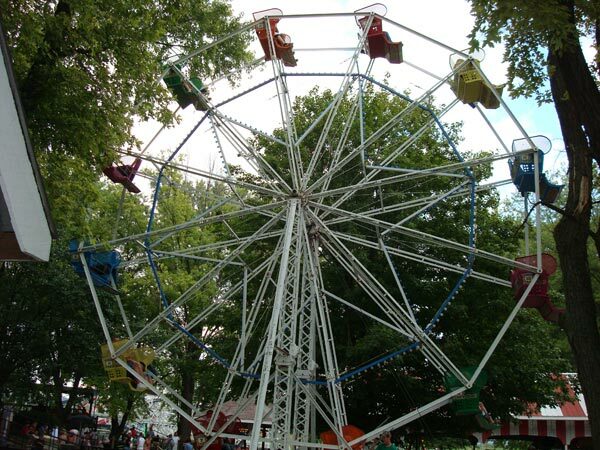 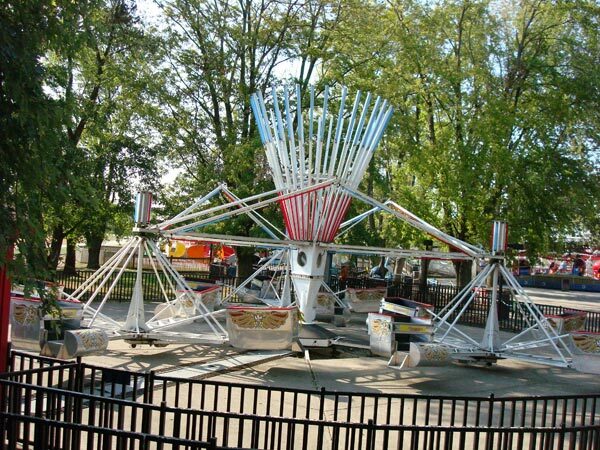 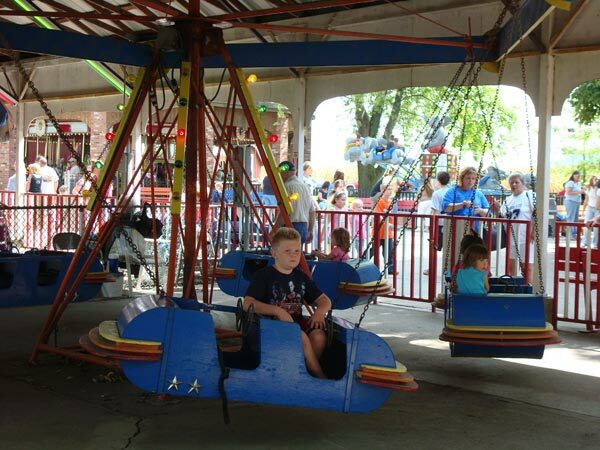 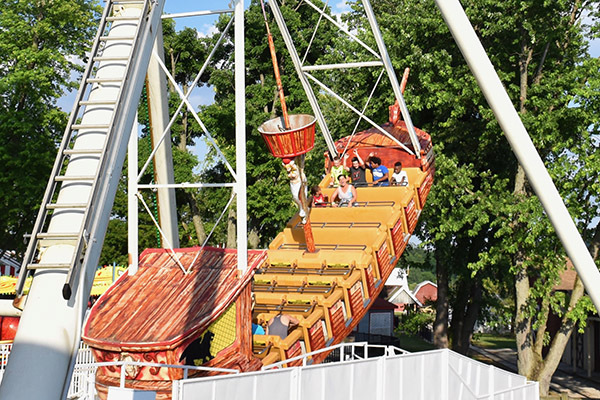 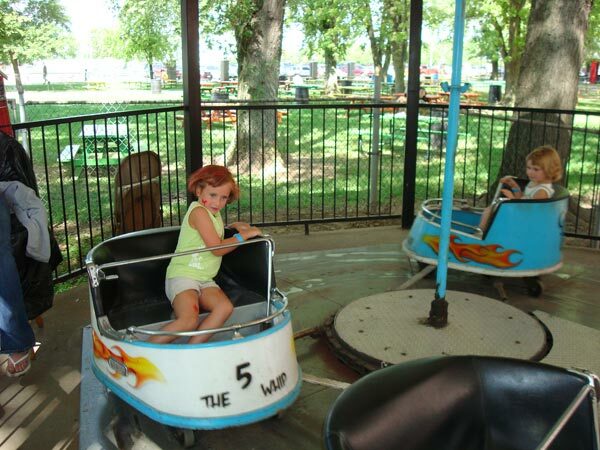 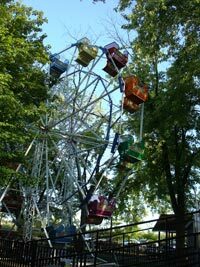 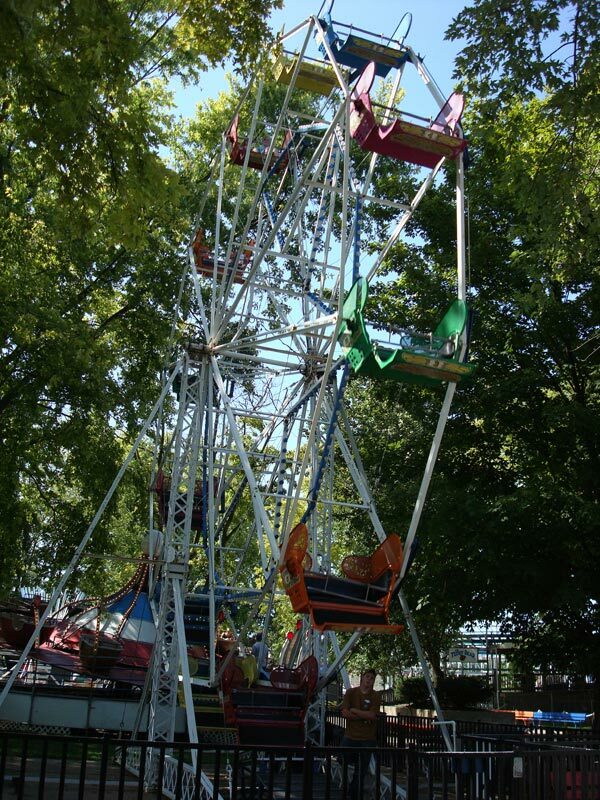 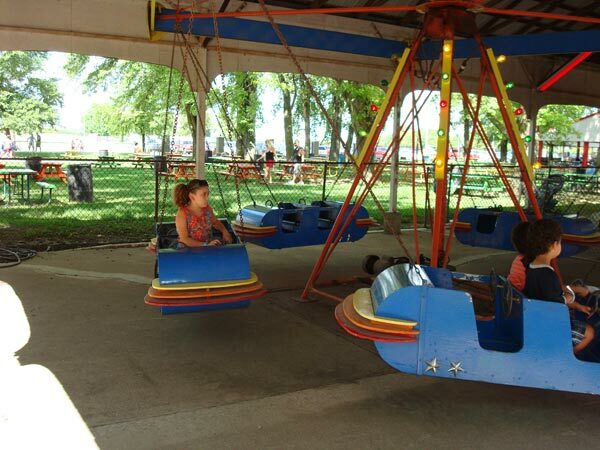 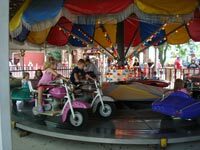 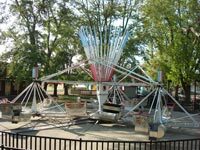 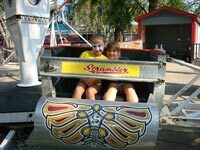 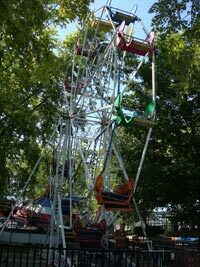 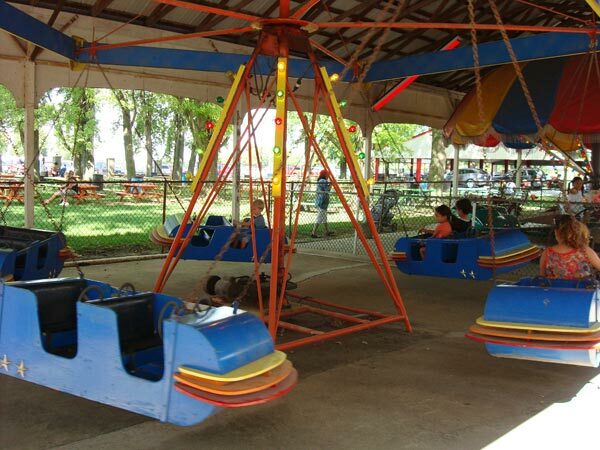 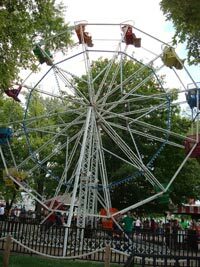 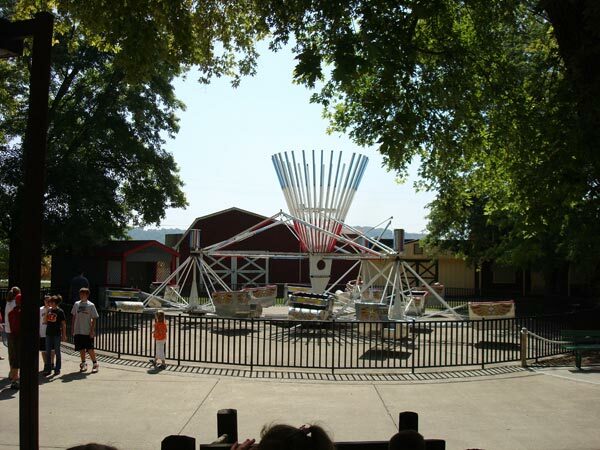 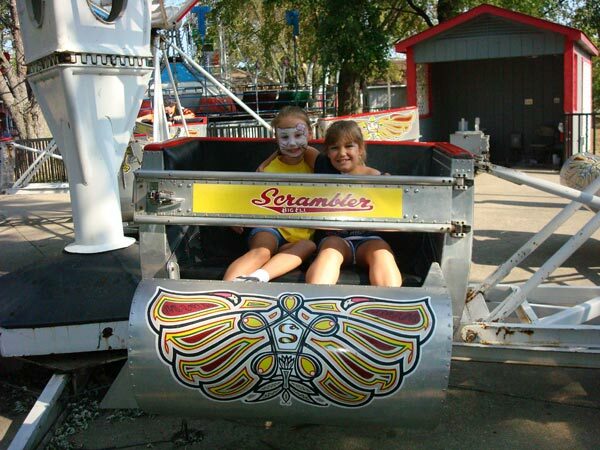 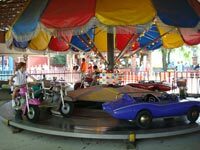 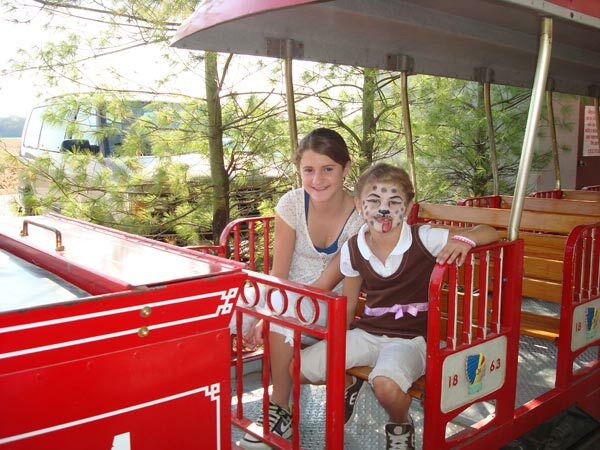 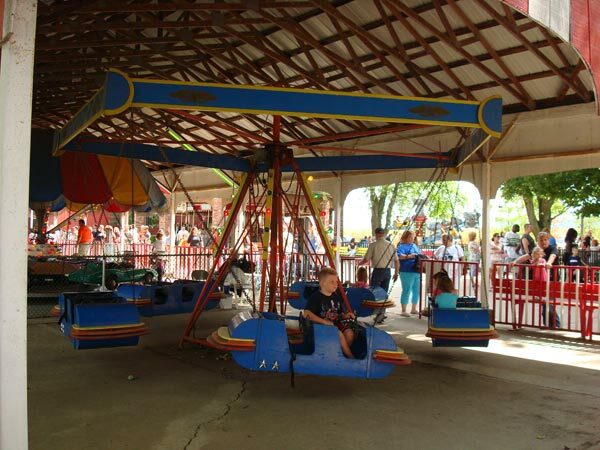 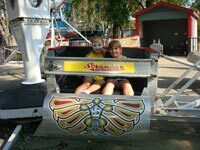 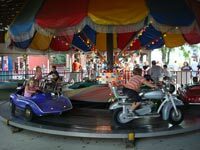 Stricker’s Grove is open to the public four times a year plus several days in July for the 4H Community Fair. 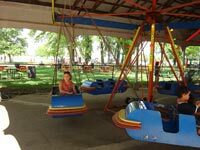 Our open to the public days include the Fourth of July, Family Day, which is always the second Sunday in August, Labor Day and Customer Appreciation Day which is in October. 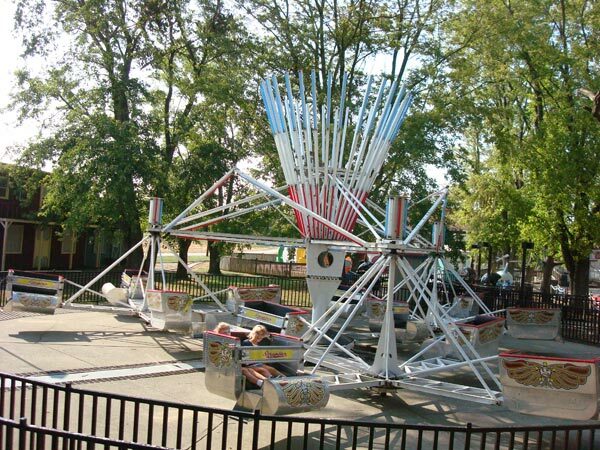 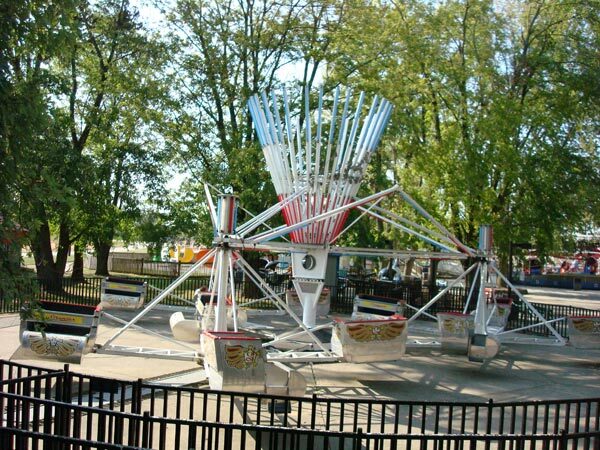 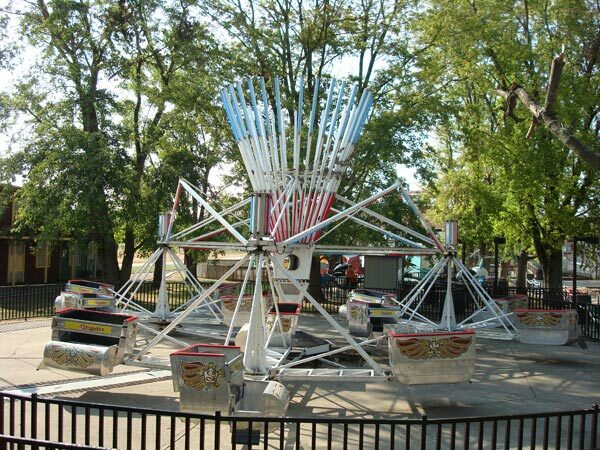 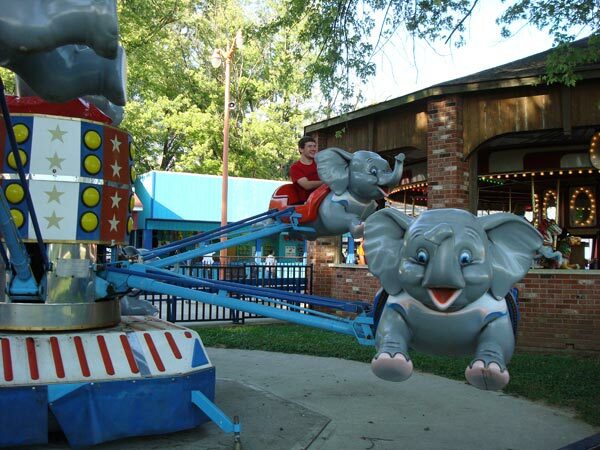 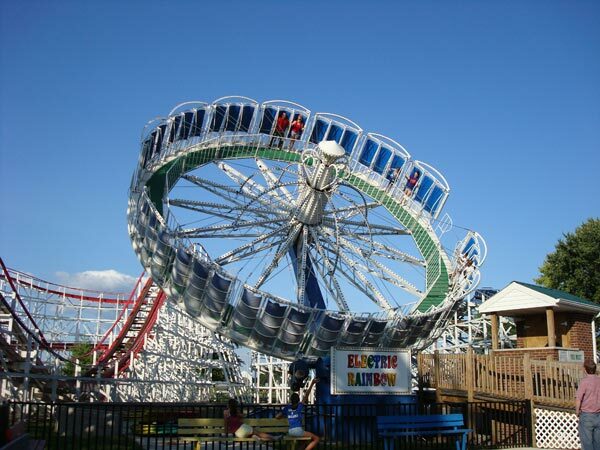 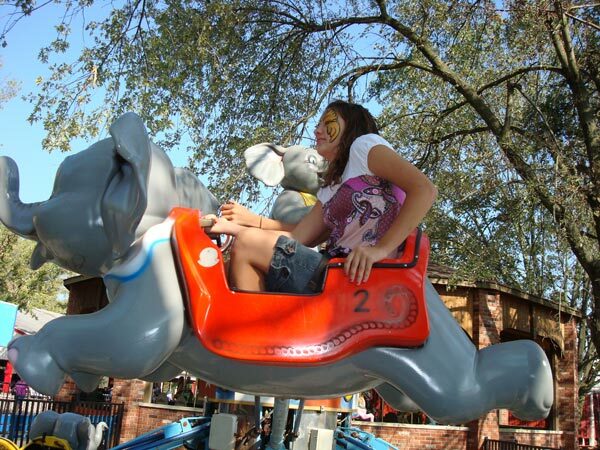 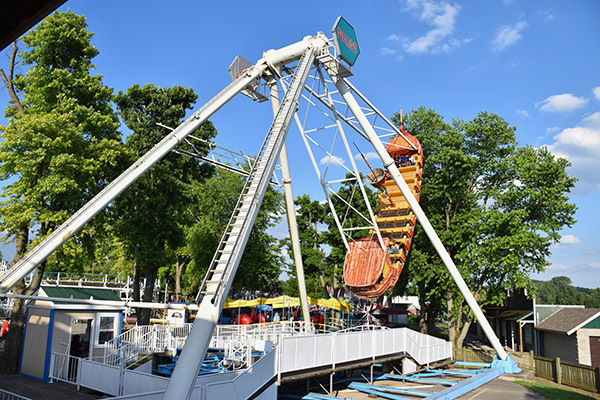 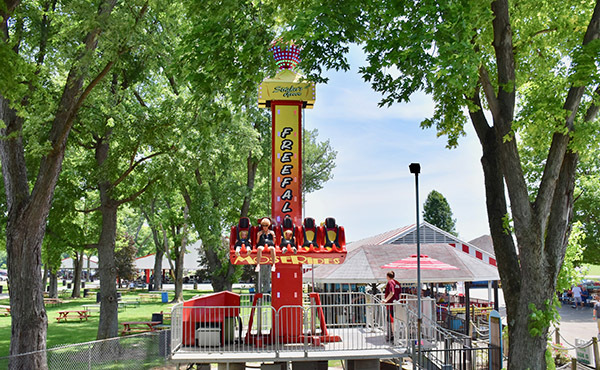 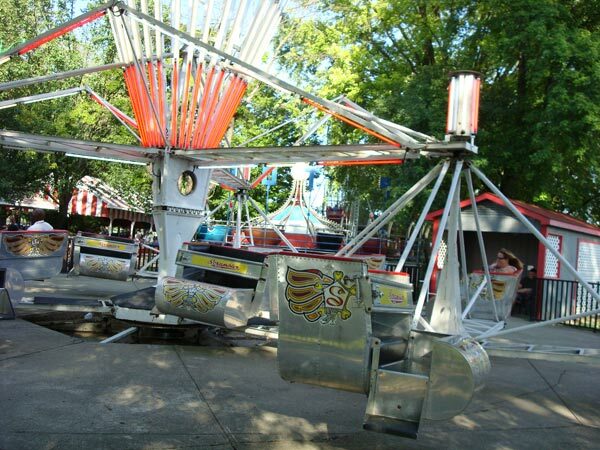 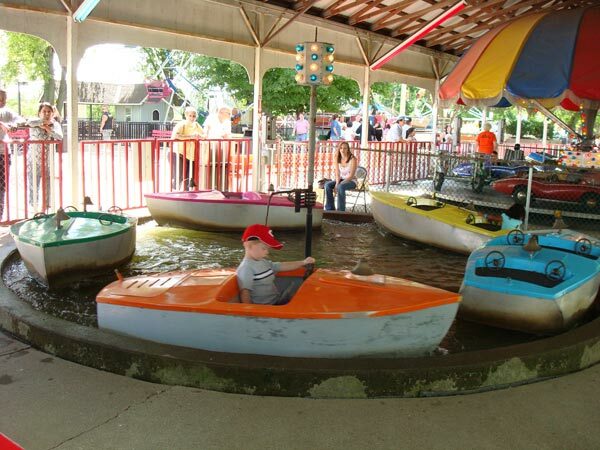 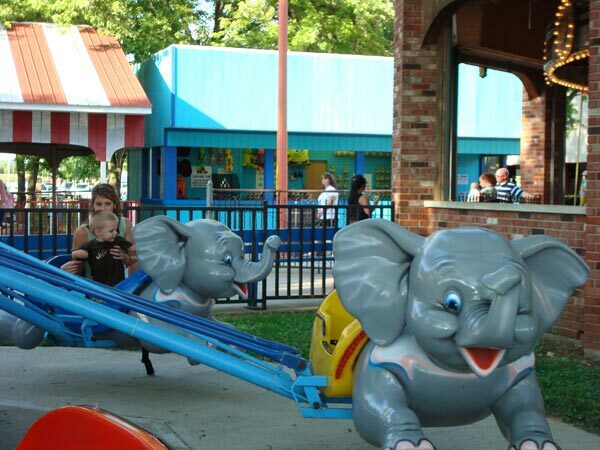 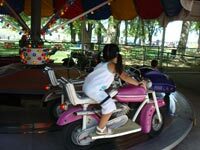 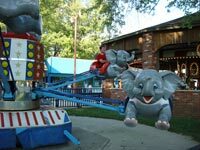 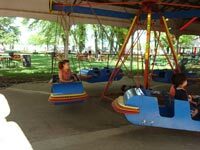 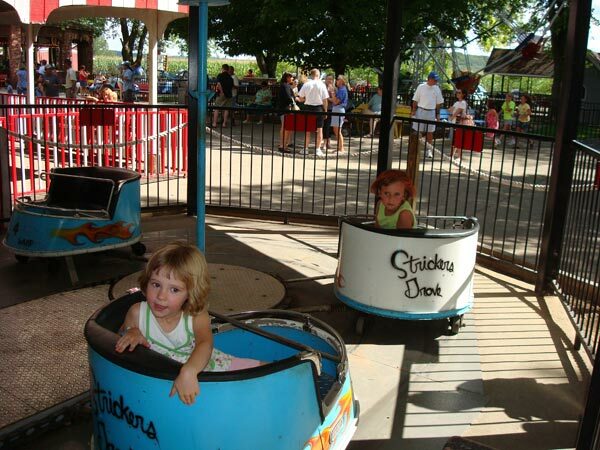 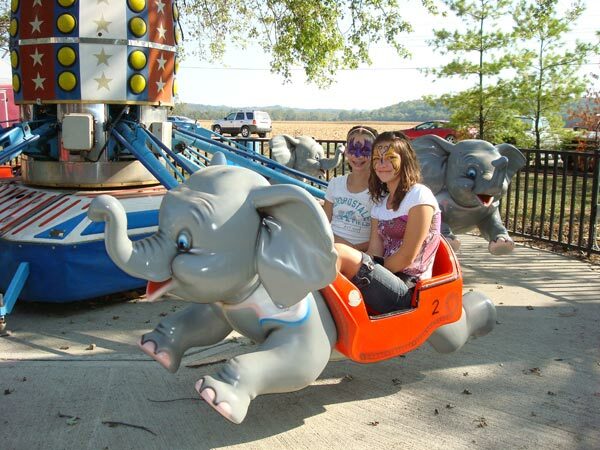 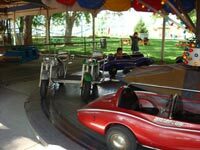 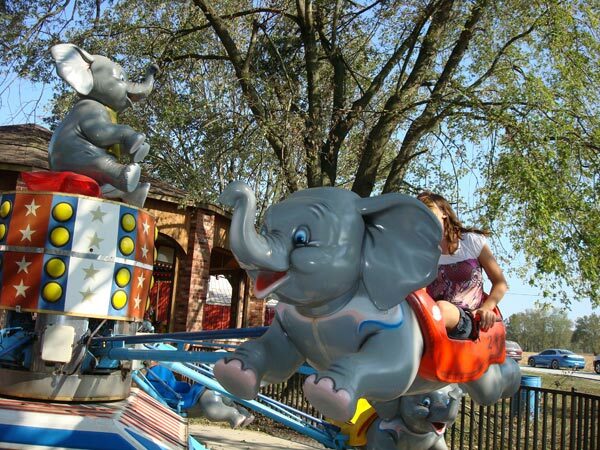 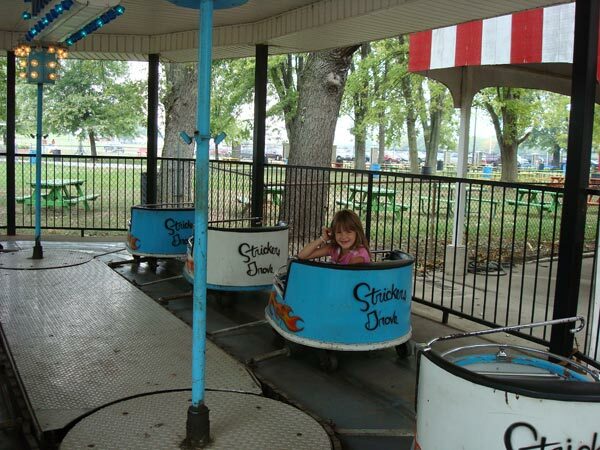 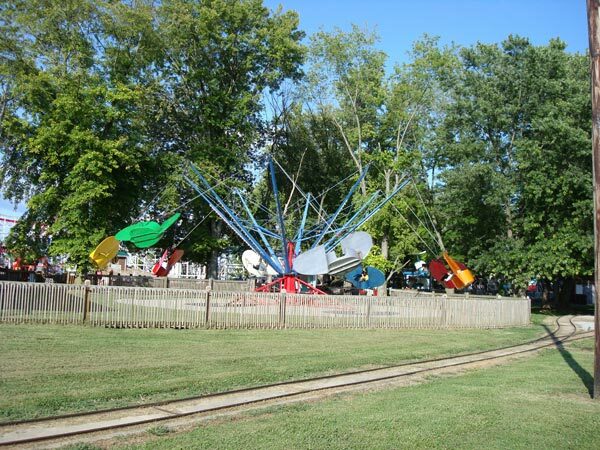 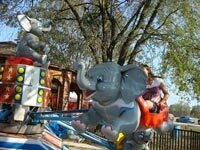 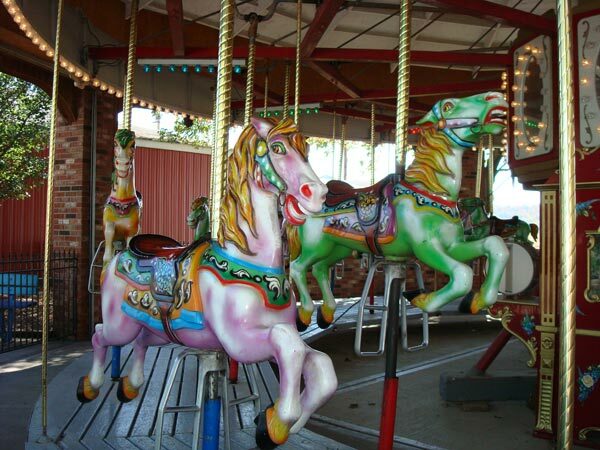 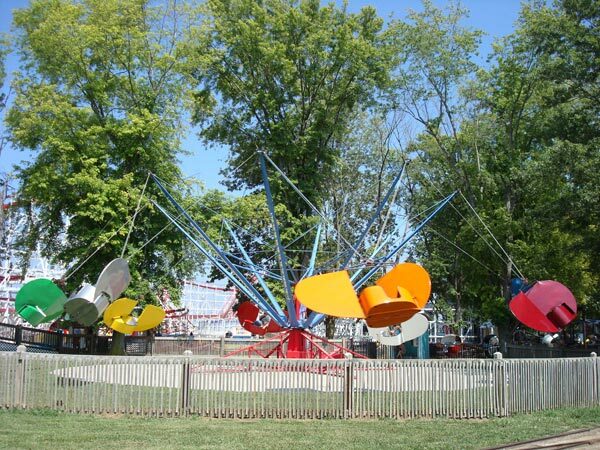 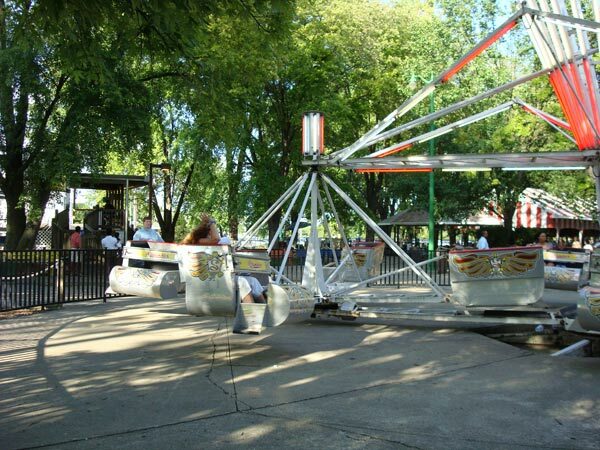 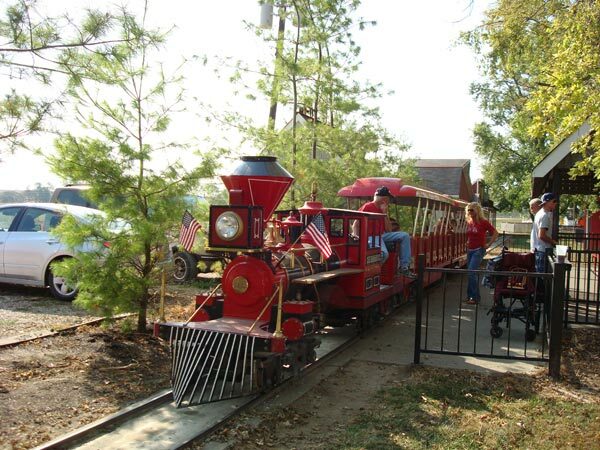 Stricker's Grove has a variety of rides and games for all ages. 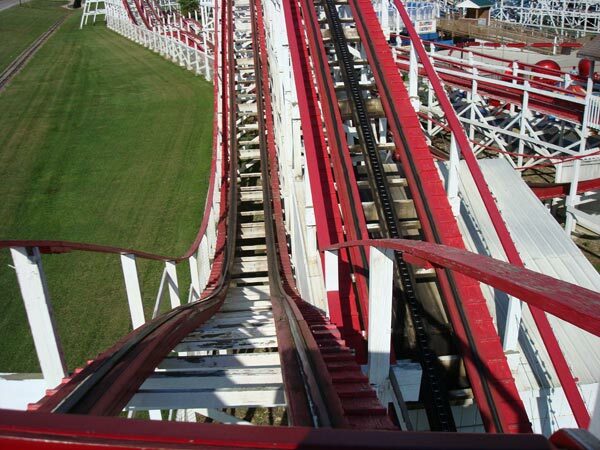 We have two roller coasters. 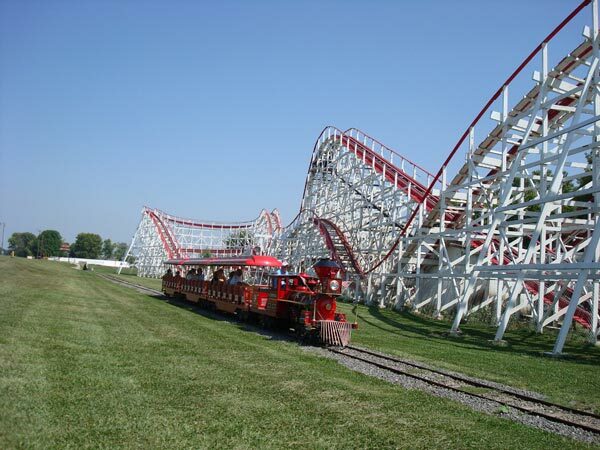 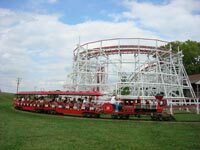 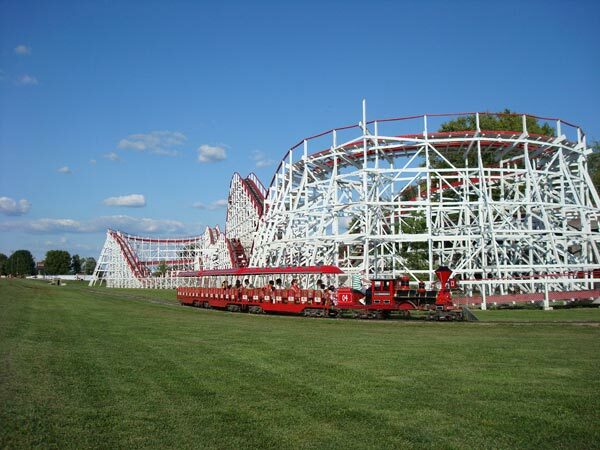 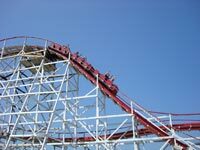 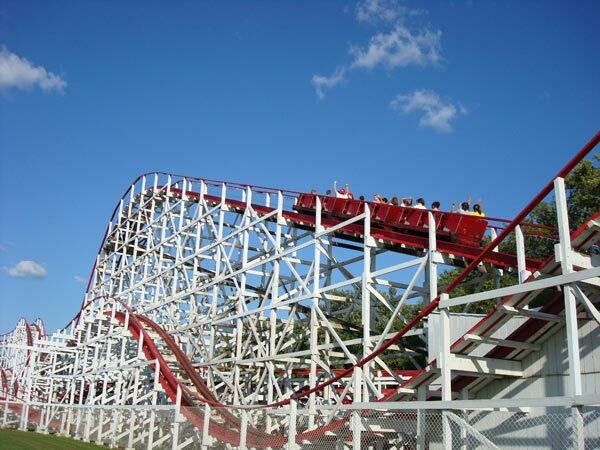 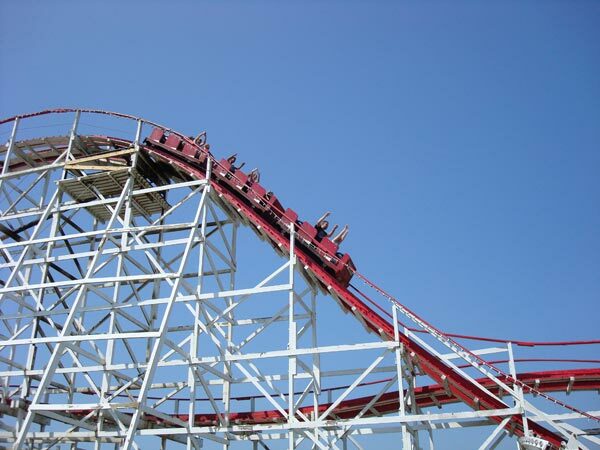 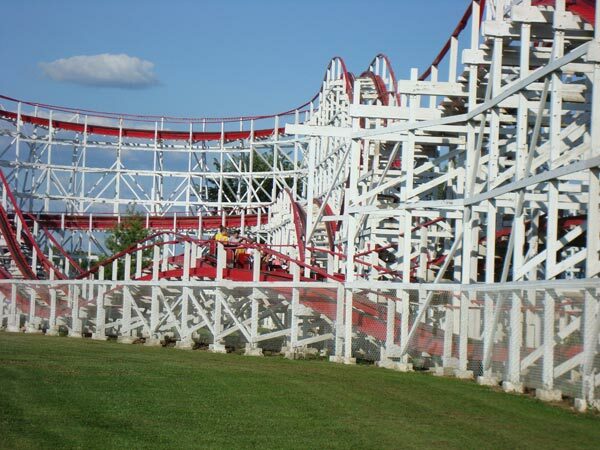 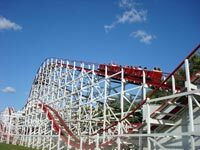 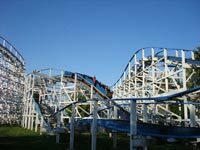 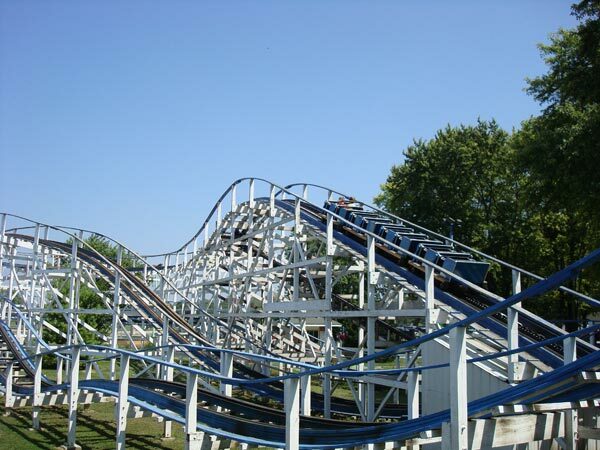 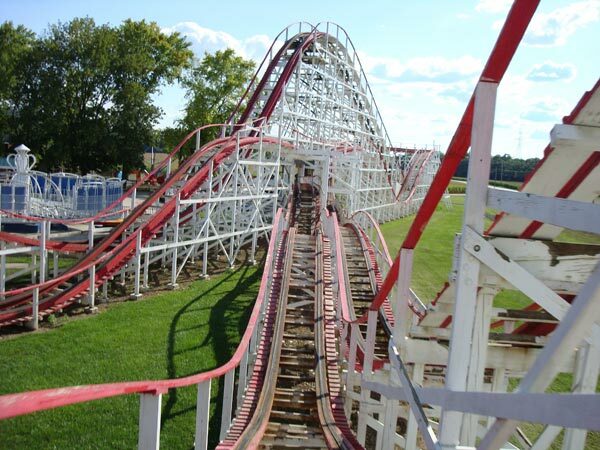 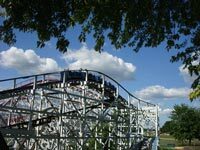 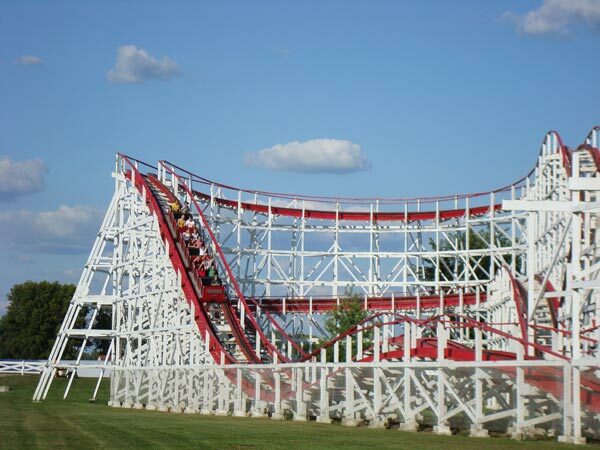 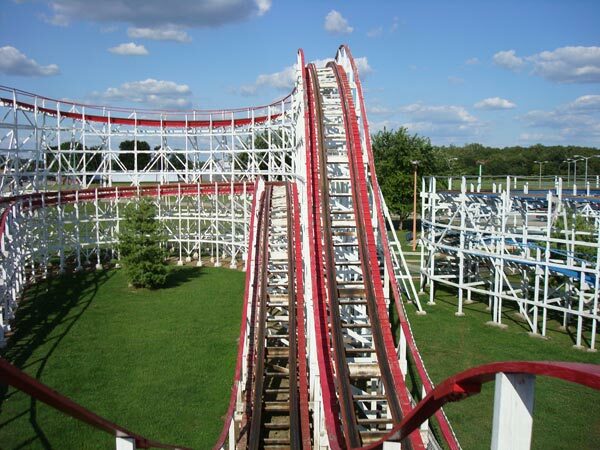 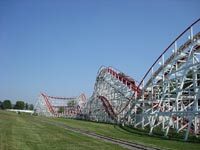 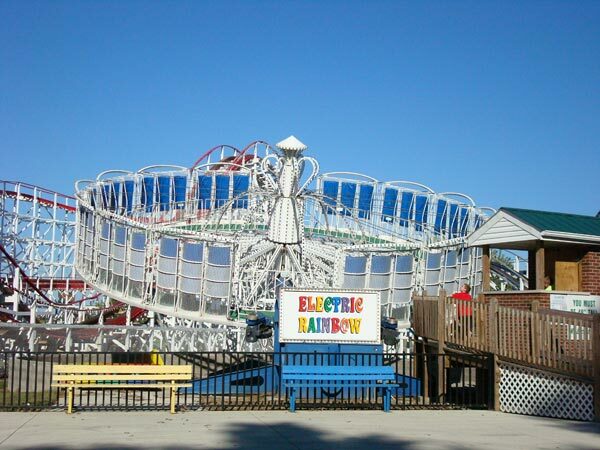 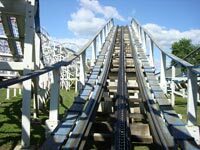 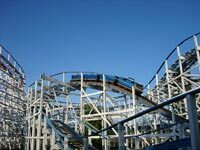 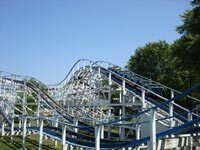 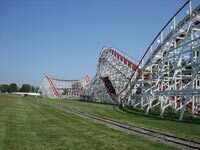 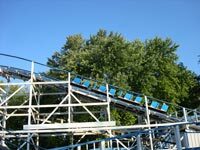 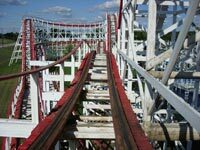 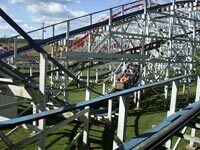 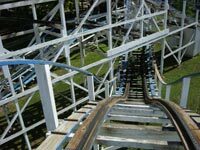 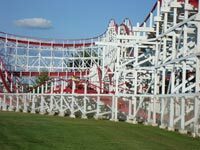 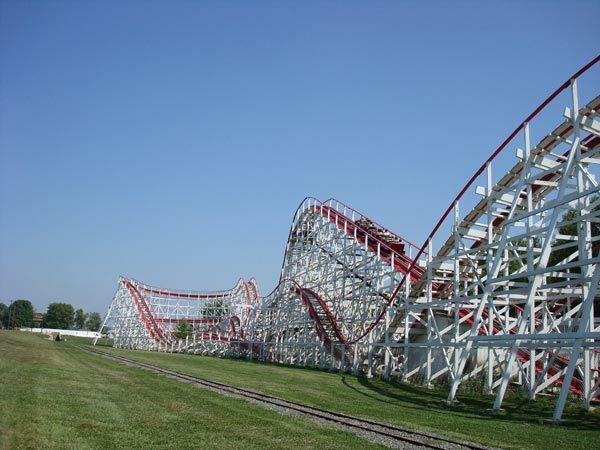 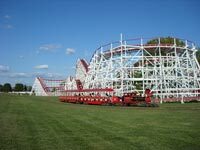 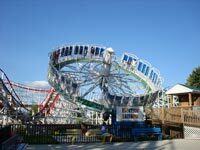 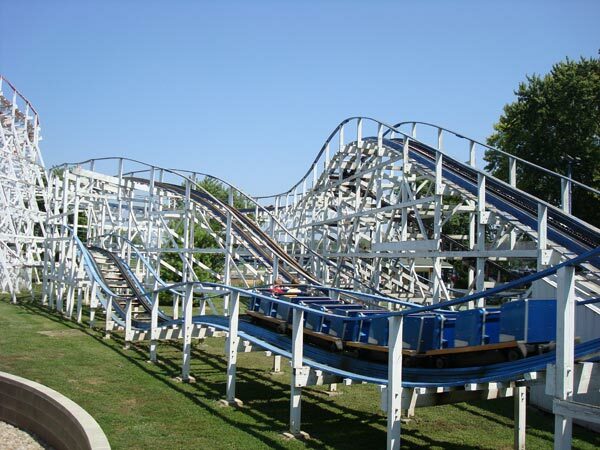 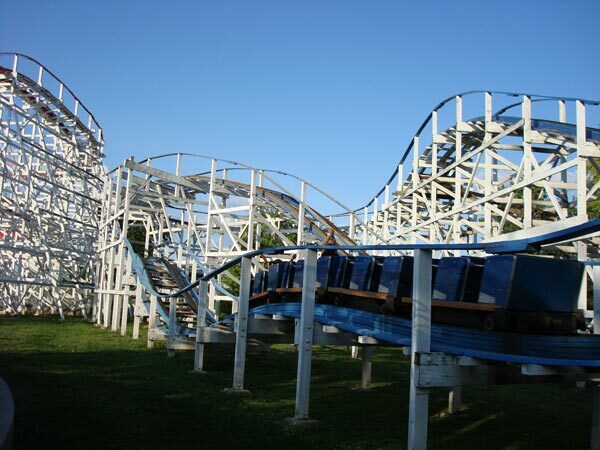 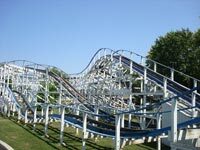 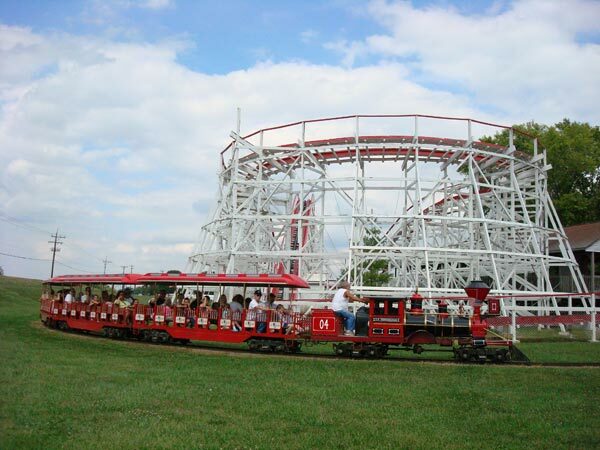 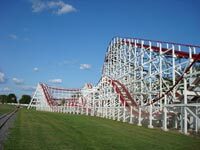 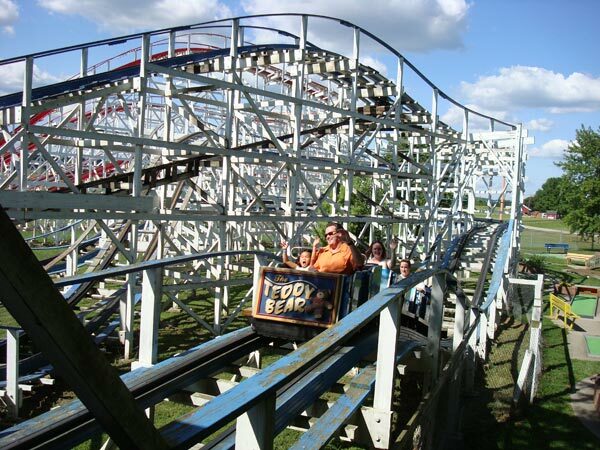 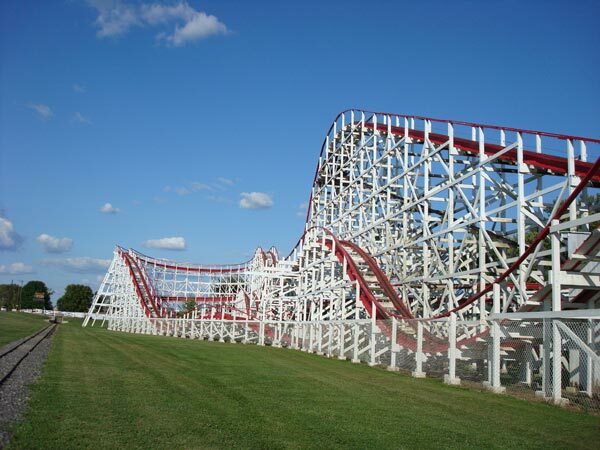 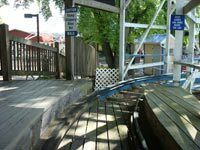 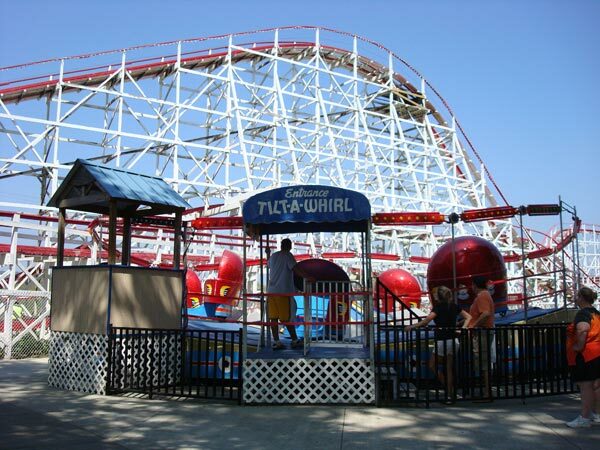 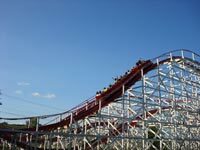 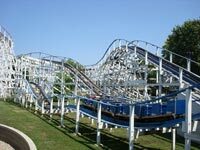 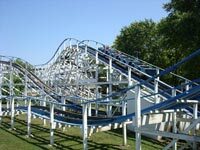 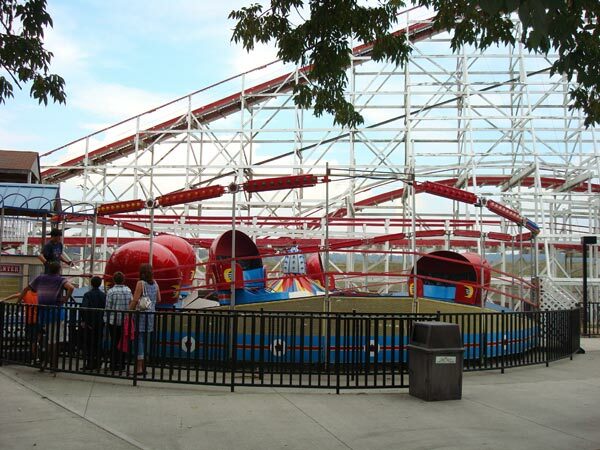 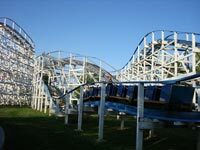 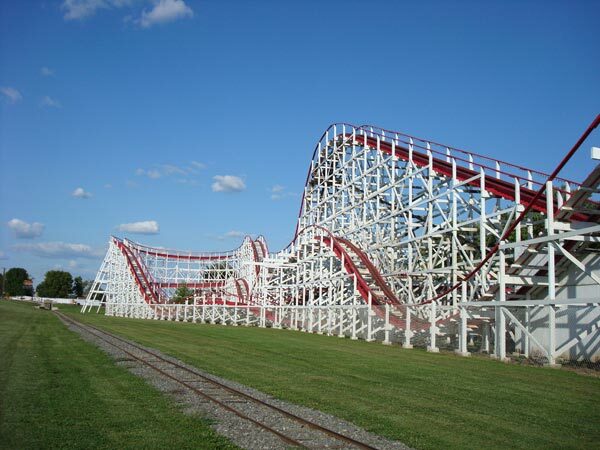 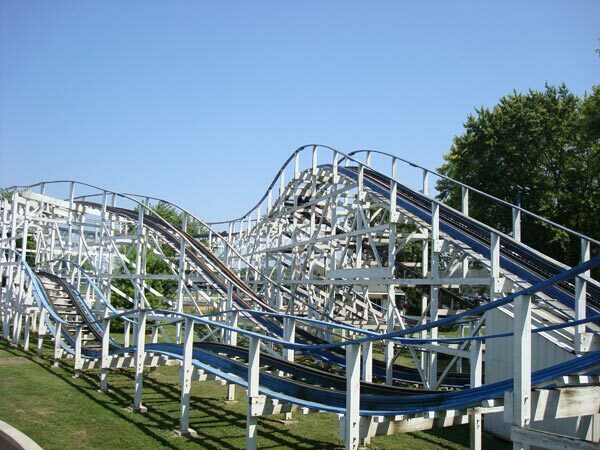 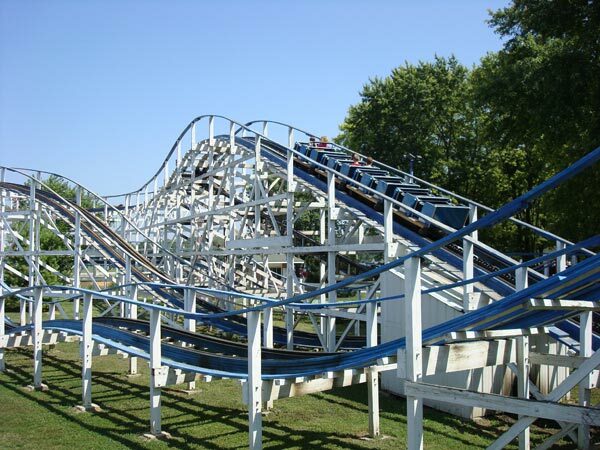 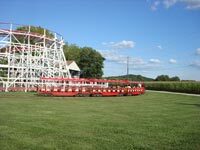 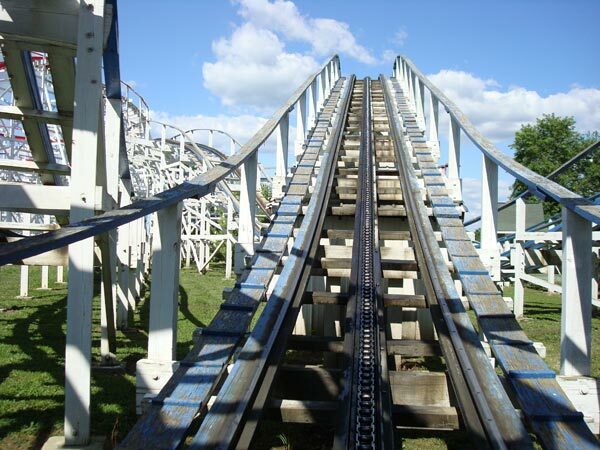 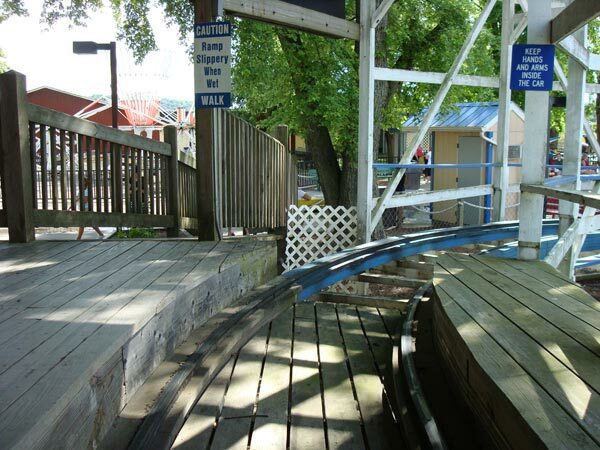 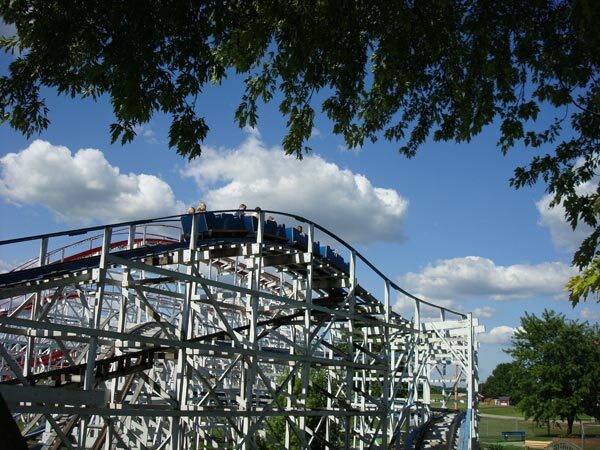 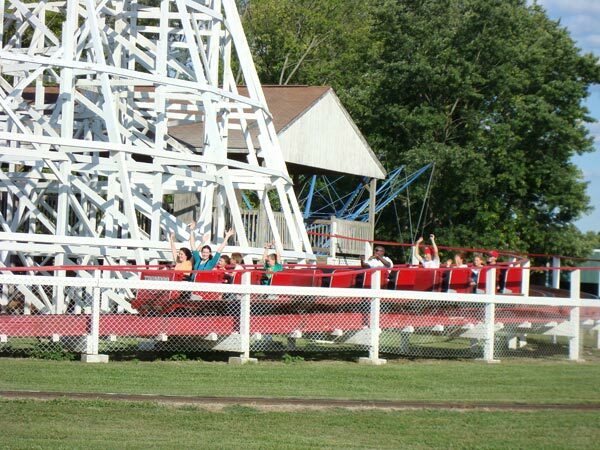 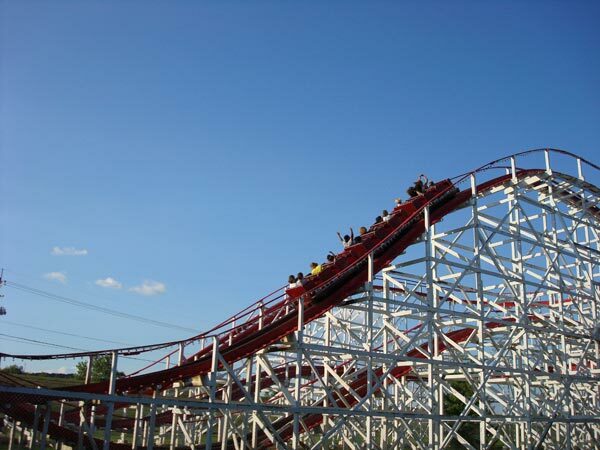 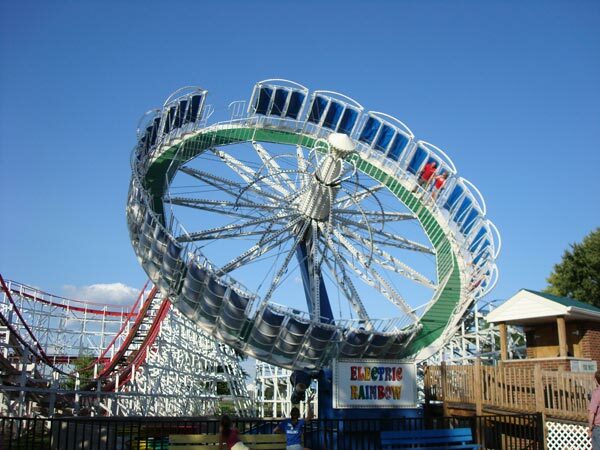 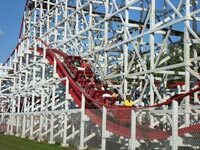 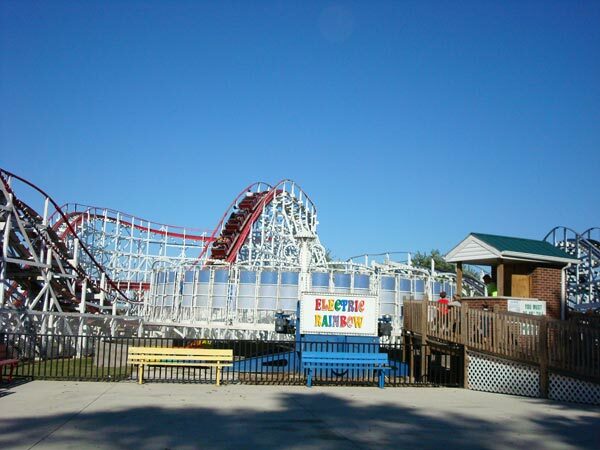 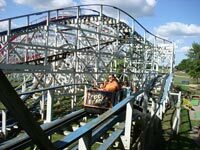 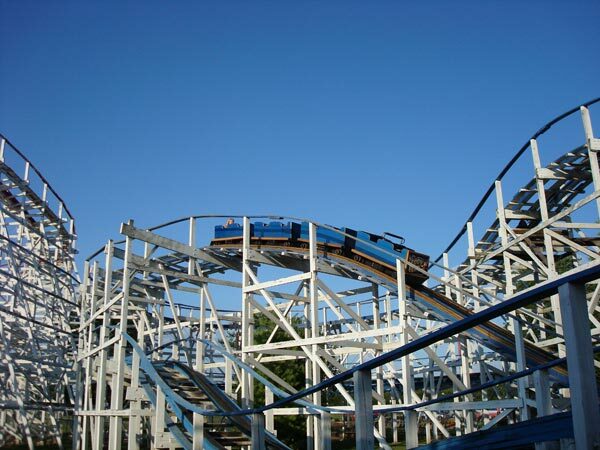 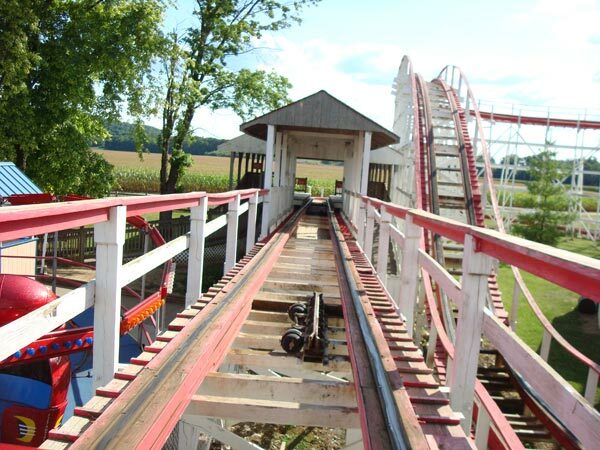 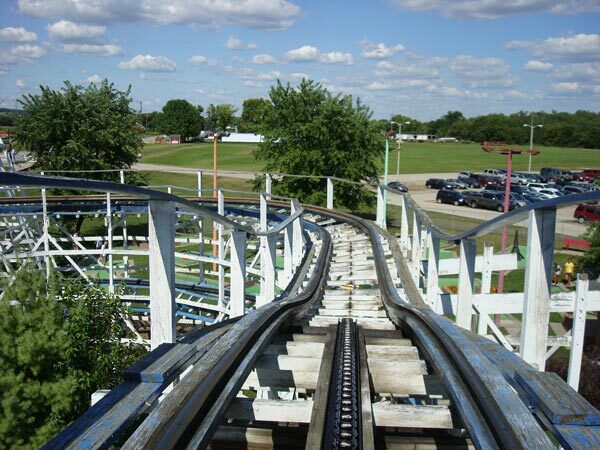 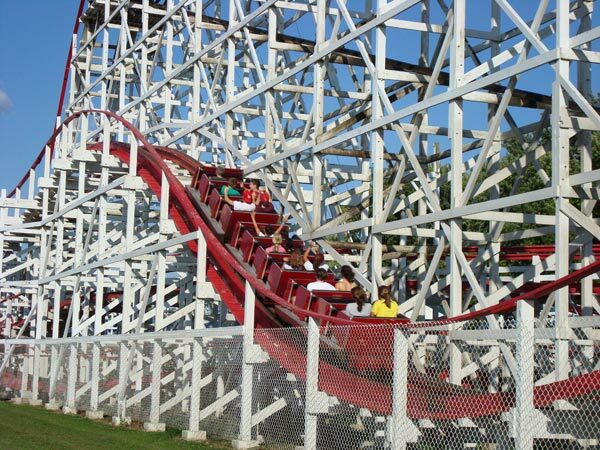 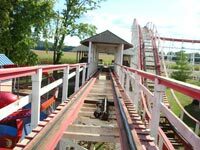 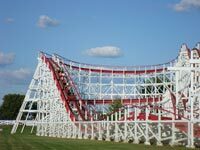 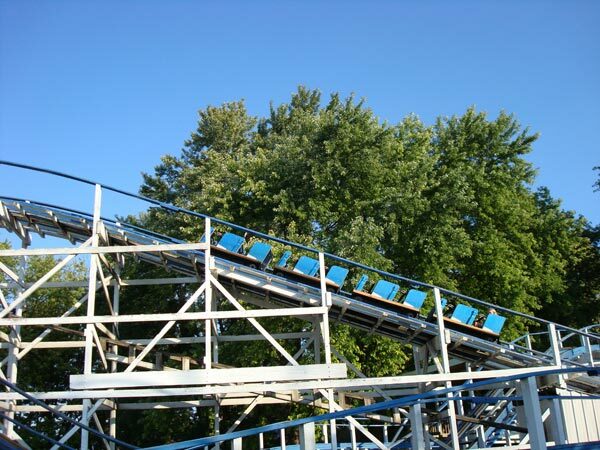 The Tornado is a wooden roller coaster designed by Al Collins and built by Ralph Stricker. 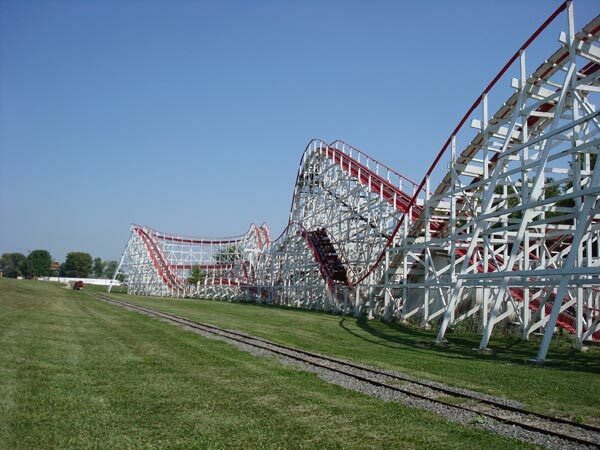 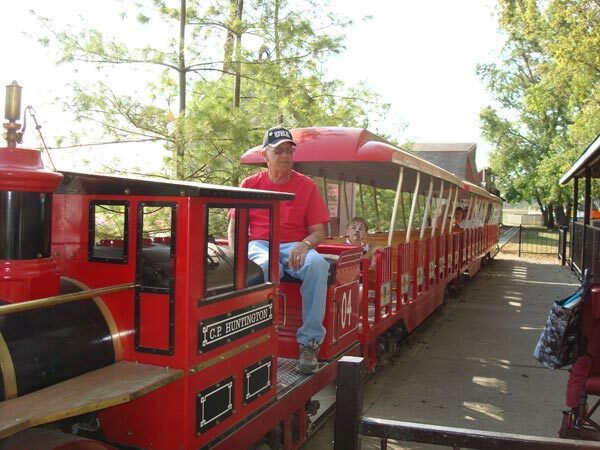 Ralph Stricker is the only person in the United States to build his own coaster. 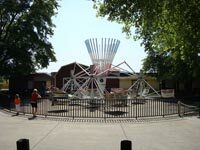 Construction was started in November, 1990 and completed in June, 1993. 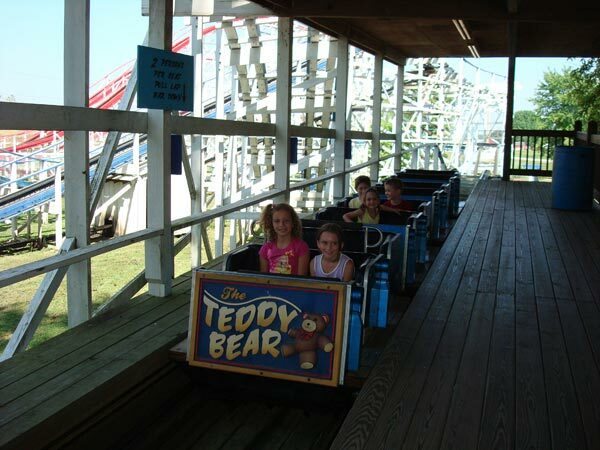 The second roller coaster is the Teddy Bear. 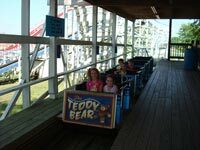 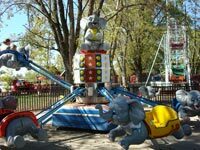 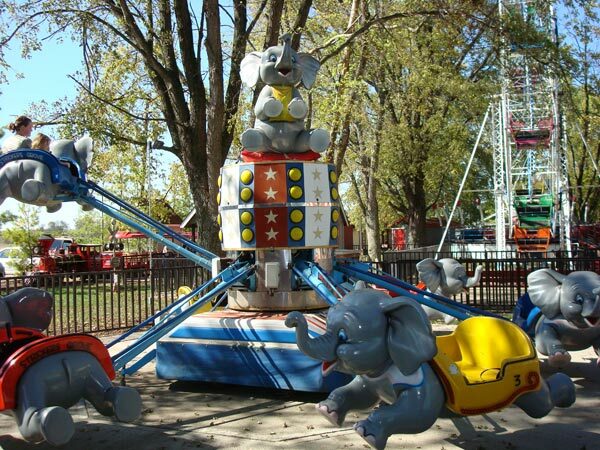 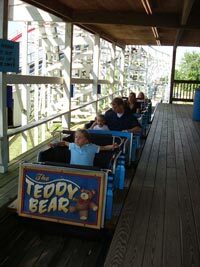 The original Teddy Bear was located in kiddie land at Coney Island in Cincinnati, Ohio. 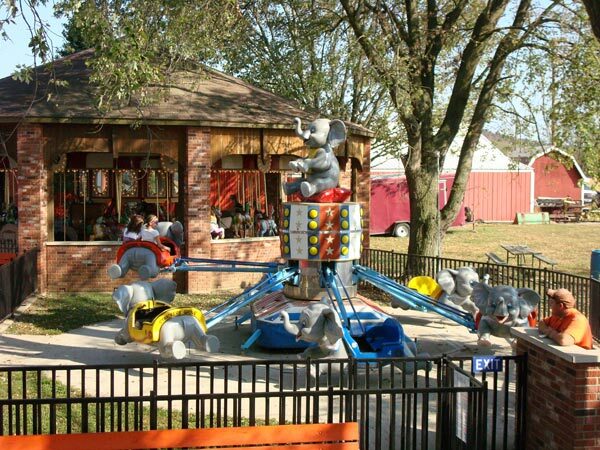 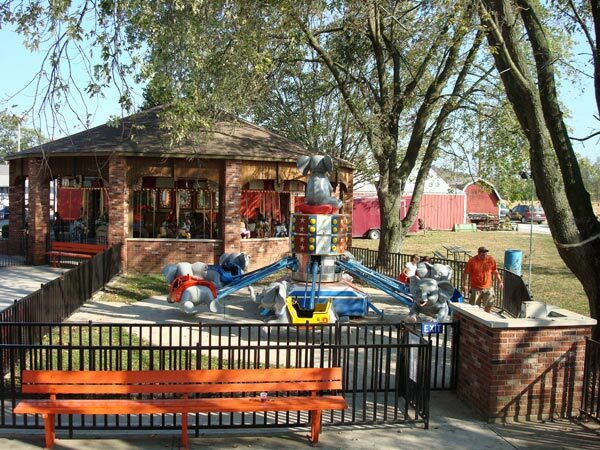 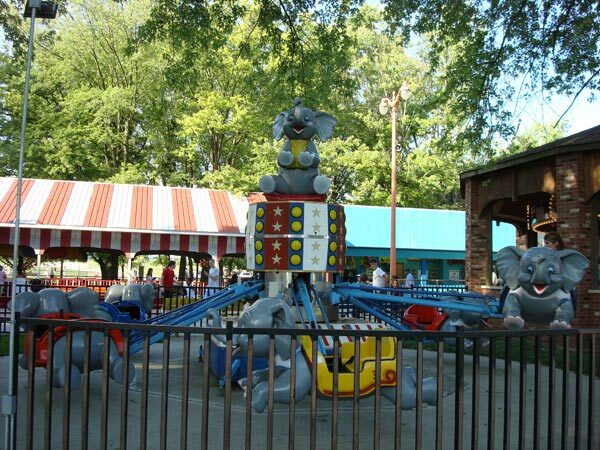 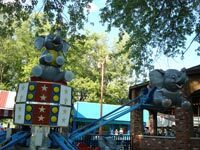 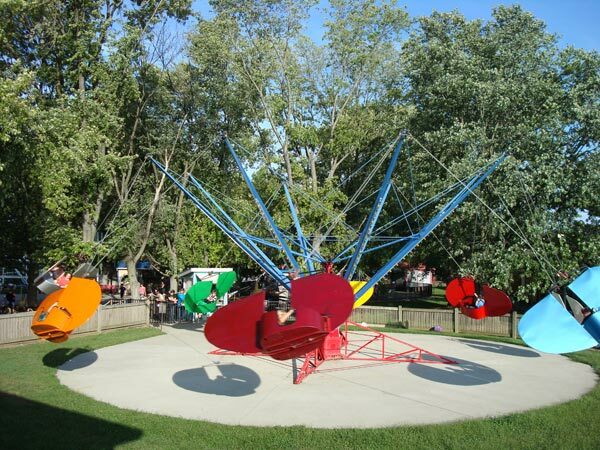 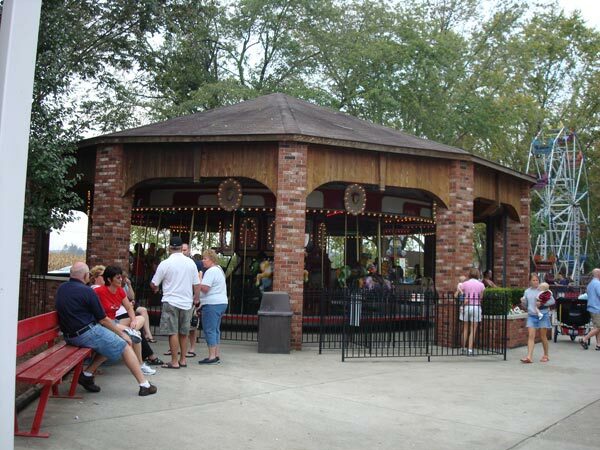 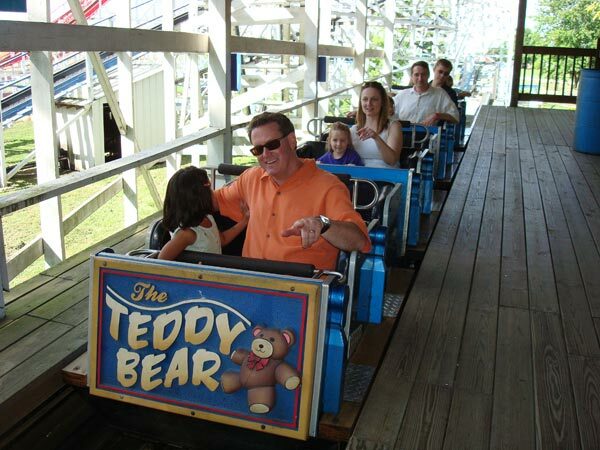 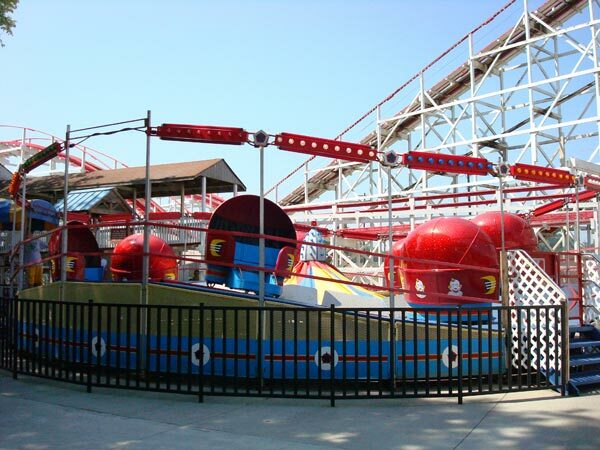 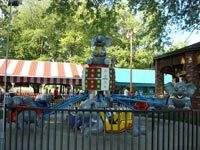 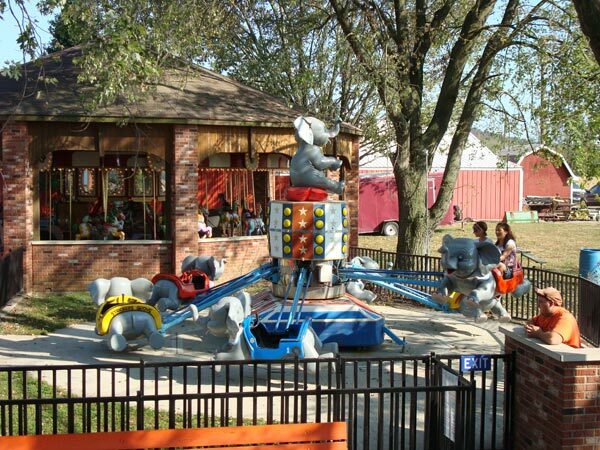 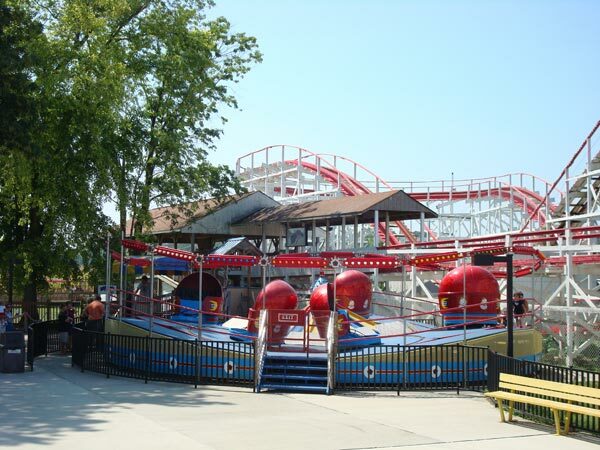 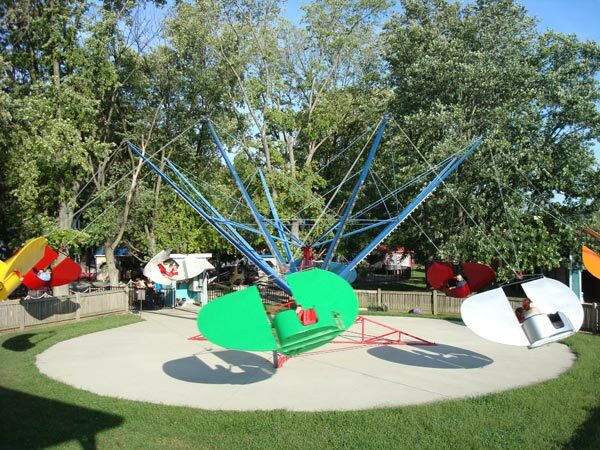 Ralph Stricker obtained the blueprints and rebuilt the Teddy Bear at Stricker's Grove. 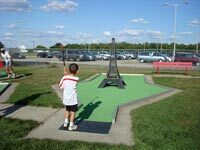 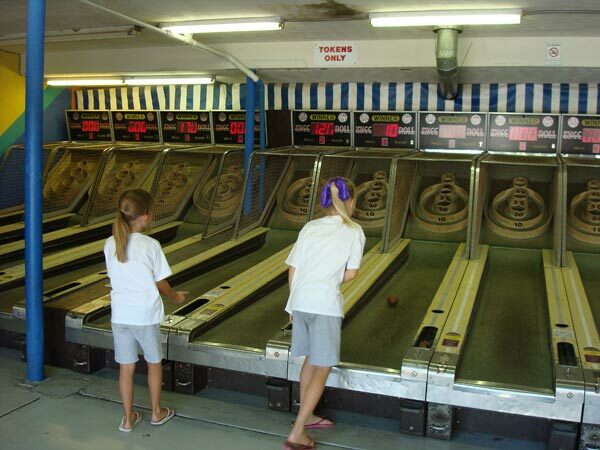 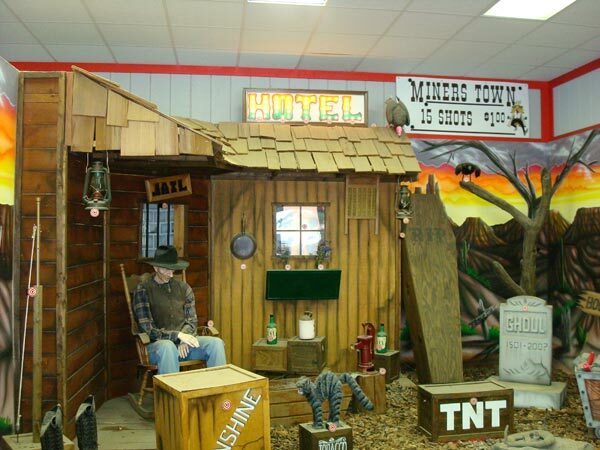 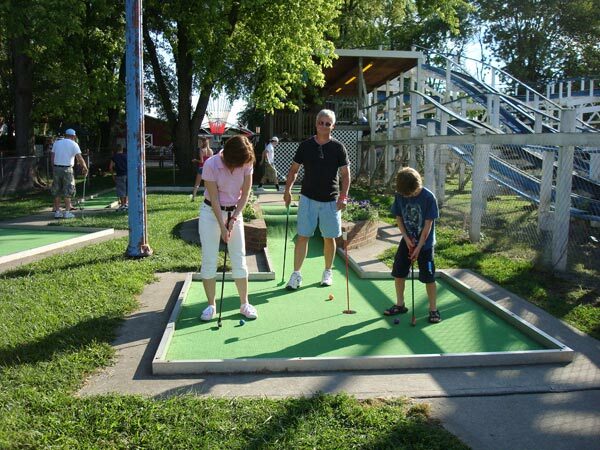 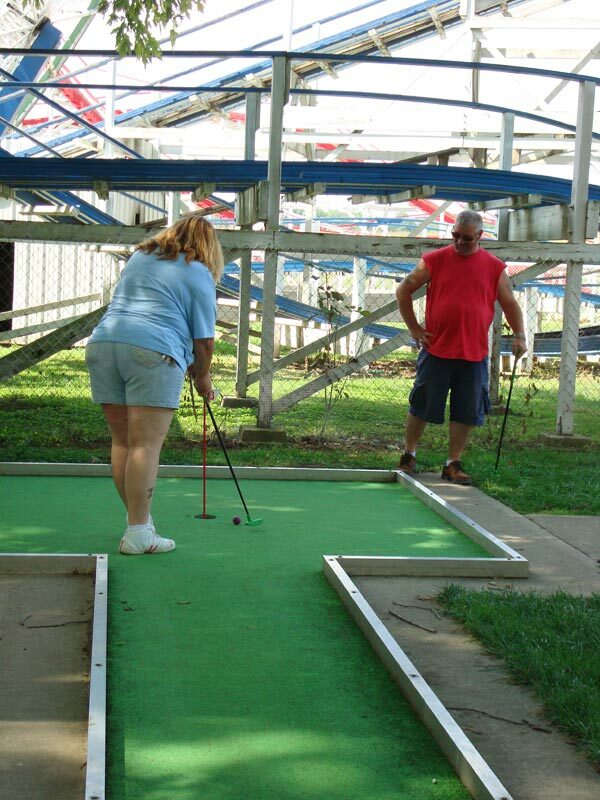 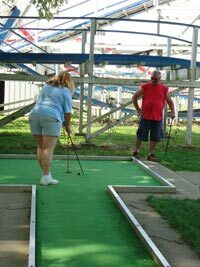 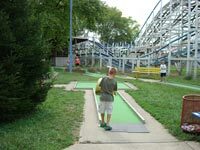 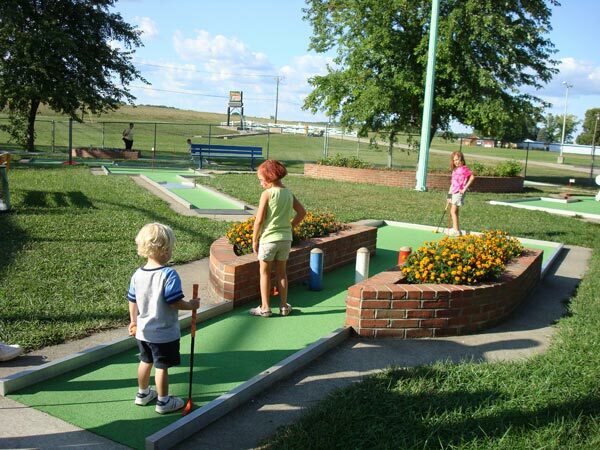 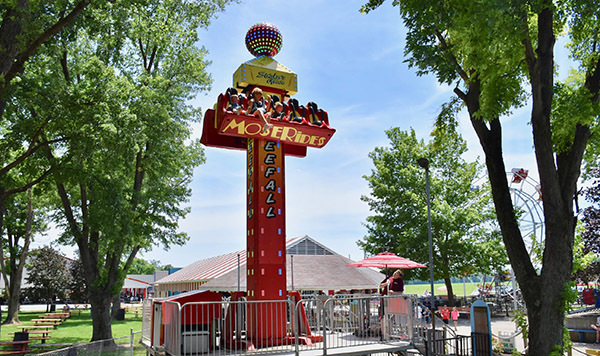 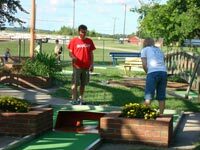 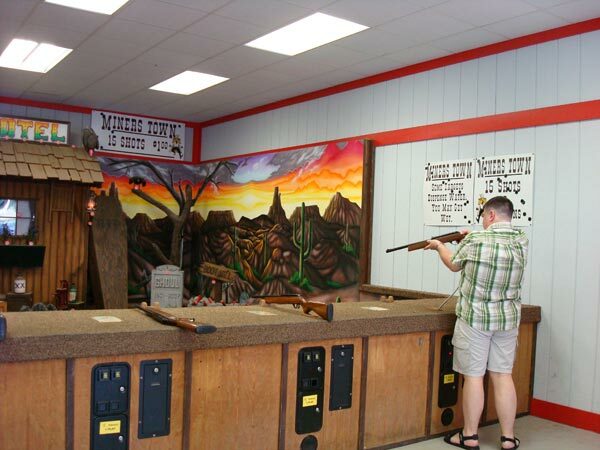 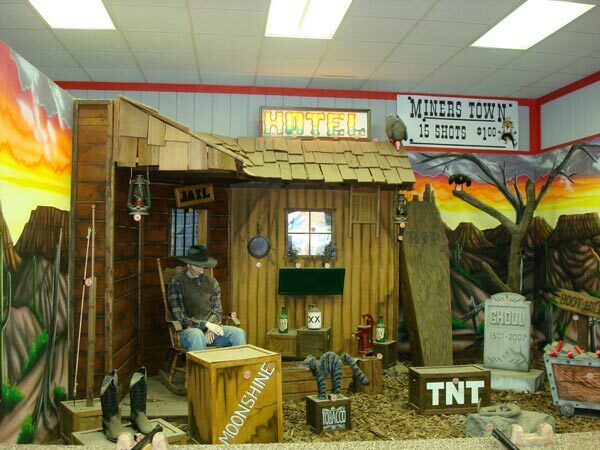 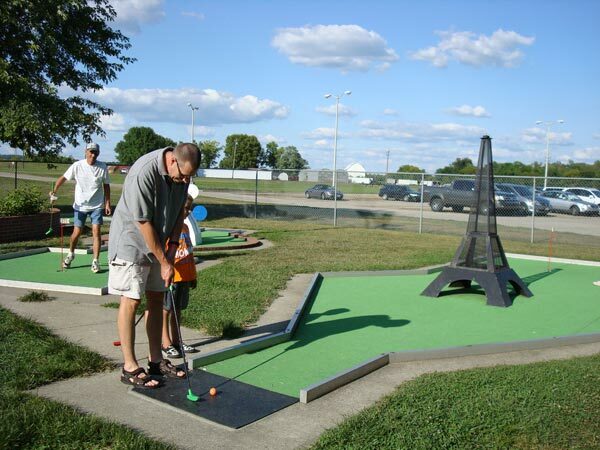 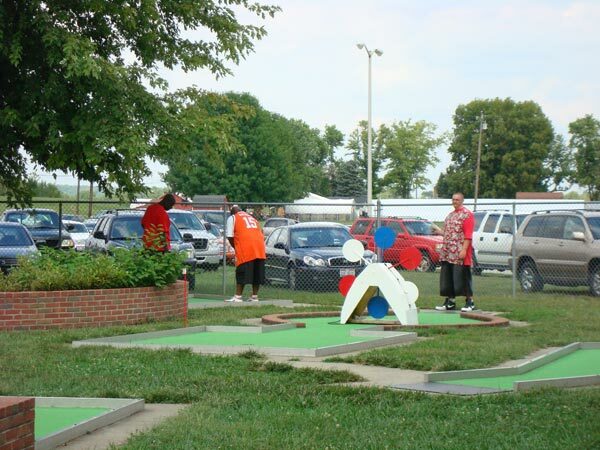 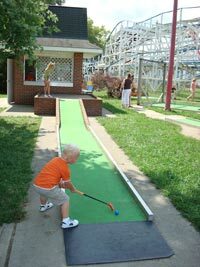 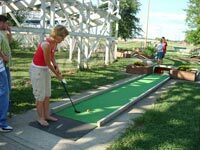 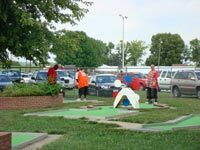 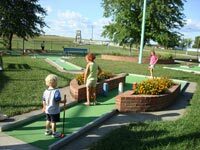 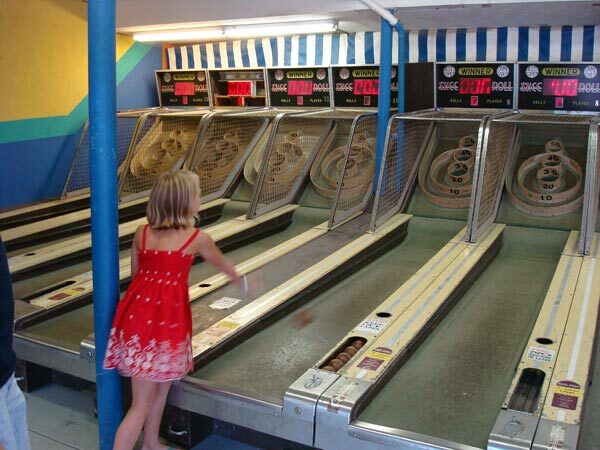 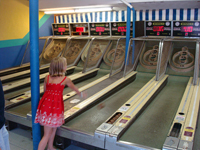 Including all the rides, Stricker's Grove also has an 18 hole miniature golf, arcade with video games and skeeball, shooting gallery, and horseshoes. 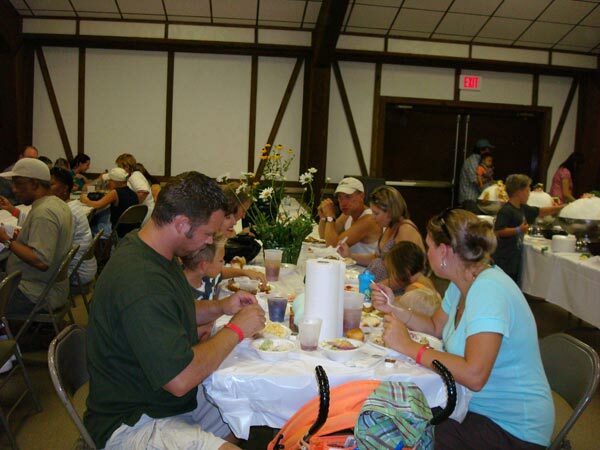 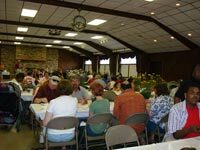 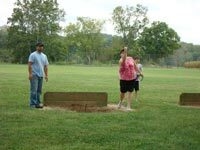 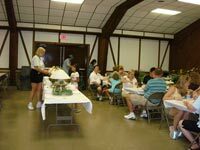 groups, organizations, and churches for family picnics, wedding receptions, meetings and other such occasions. Cash only at entrance gate. 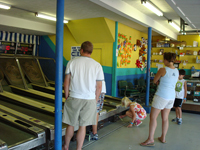 ATM is available on-site. 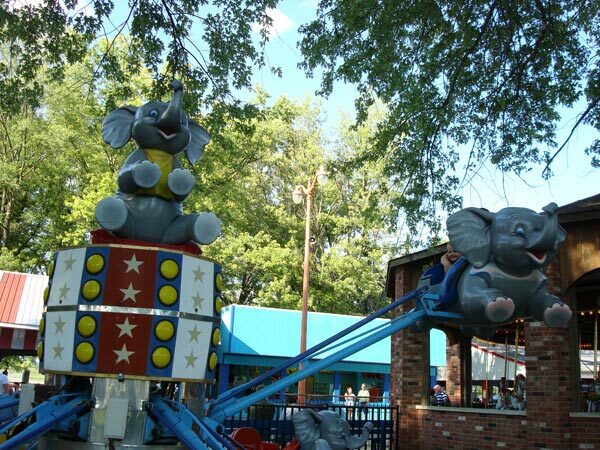 Height Requirements Apply. 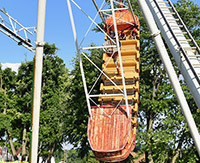 See below for chart for details. 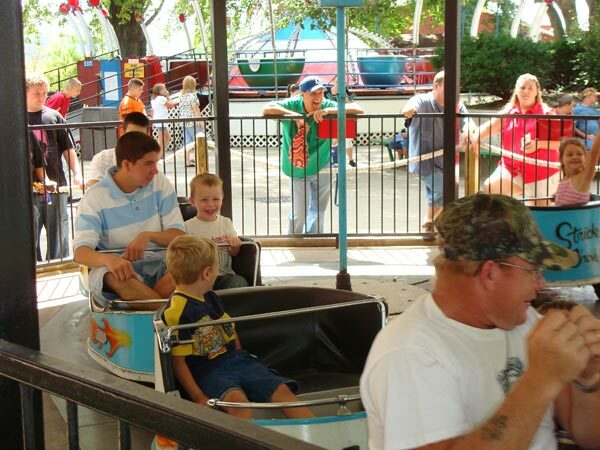 Stricker's Grove has a variety of rides for all ages. We have two roller coasters. 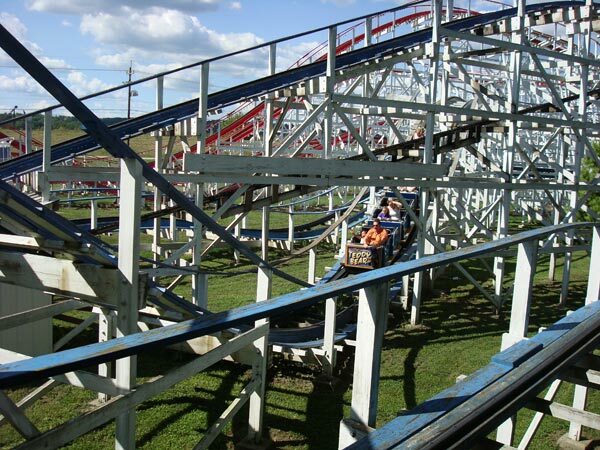 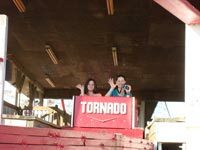 The Tornado is a wooden roller coaster. 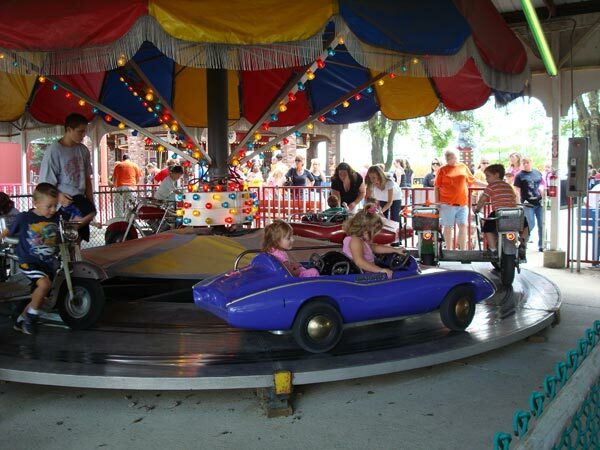 Like any amusement park, we enforce ride height restrictions. Please see the height chart below. 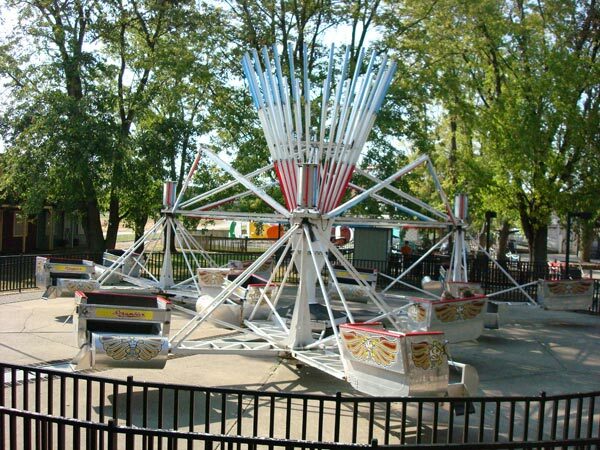 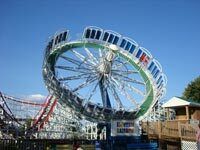 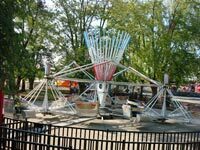 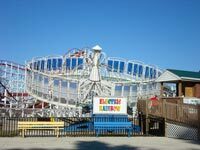 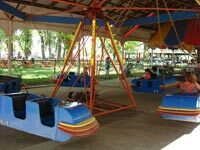 Kiddie Whip 30" 30" - 36" 36"
Kiddie Cars 30" n/a 30"
Kiddie Boats 30" n/a 30"
Kiddie Rockets 30" n/a 30"
Tip Top 38" 38" - 48" 48"
Teddy Bear Coaster 35" 35" - 43" 43"
Tornado Coaster 42" 42" - 48" 48"
Merry Go Round n/a n/a 42"
Free Fall 36" 36" - 42" 42"
Flying Scooters 36" 36" - 48" 48"
Scrambler 36" 36" - 48" 48"
Tilt A Whirl n/a Under 46" 46"
Round Up 48" n/a 48"
Ferris Wheel 36" 36" - 48" 48"
Pirate Ship 48" n/a 48"
Elephants 38" 36" - 48" 48"
Stricker’s Grove is available to rent to groups of 500 or more people from mid-May to early October. 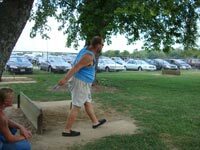 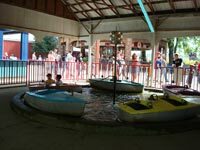 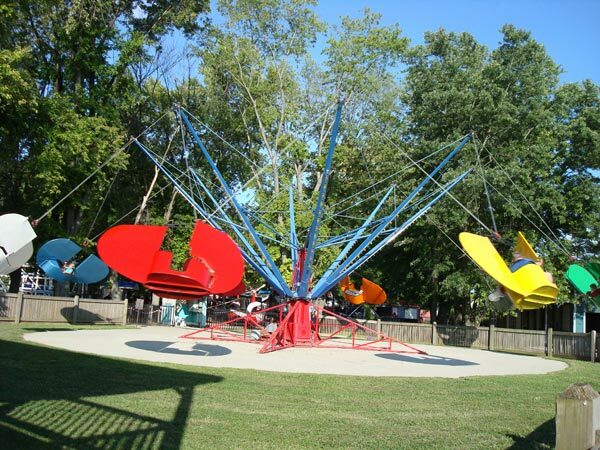 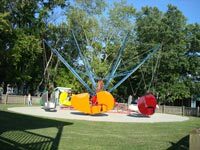 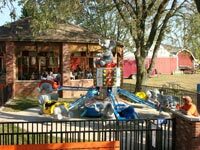 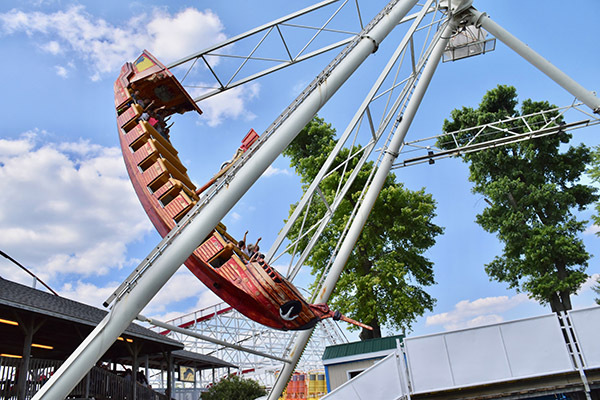 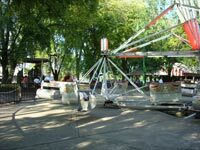 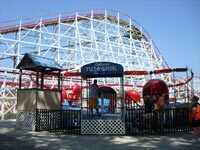 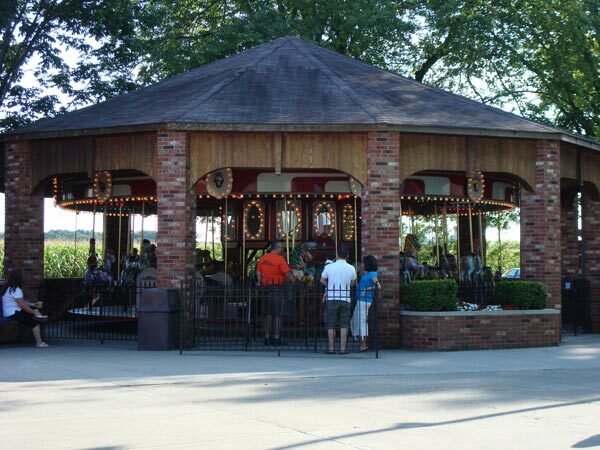 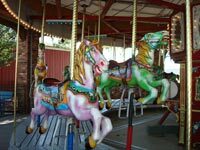 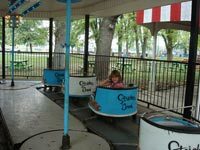 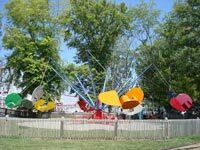 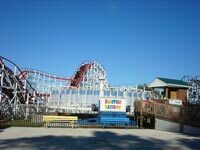 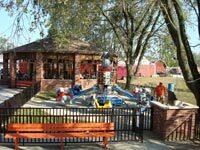 Unlike most other parks, Stricker’s Grove only rents to one group most of the time, therefore, guaranteeing complete privacy without the hassle of sharing the park and picnic facilities. 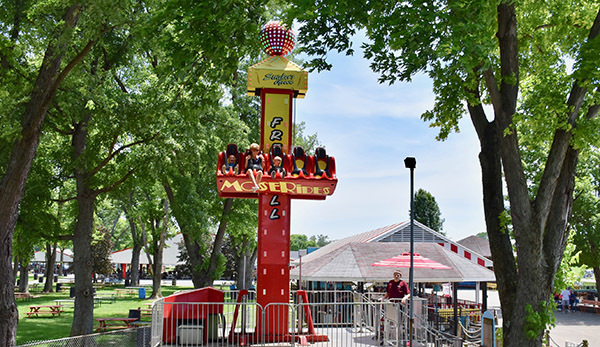 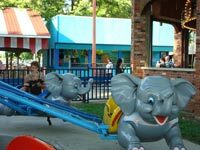 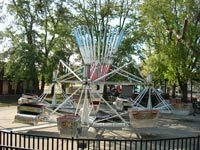 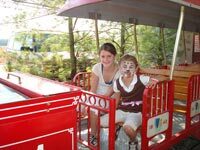 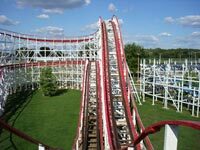 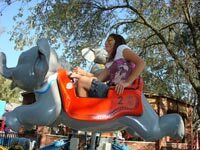 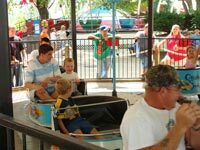 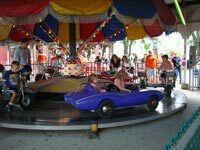 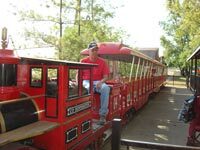 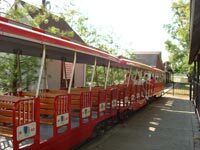 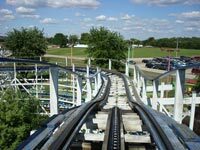 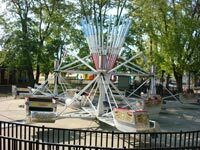 For those groups that do not have enough people to rent the entire park, Stricker’s Grove will also occasionally rent to smaller groups on our small business days, which are several groups sharing the park. 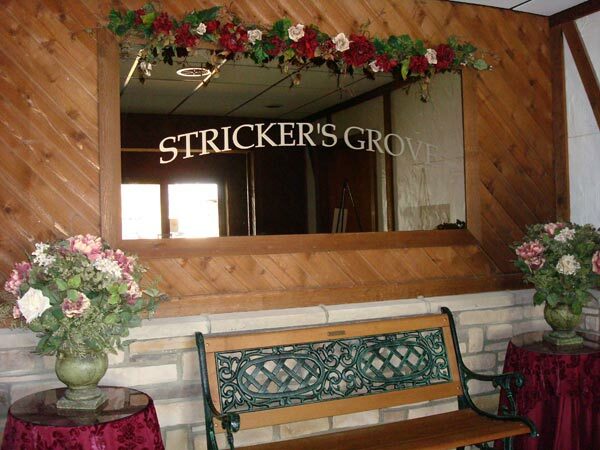 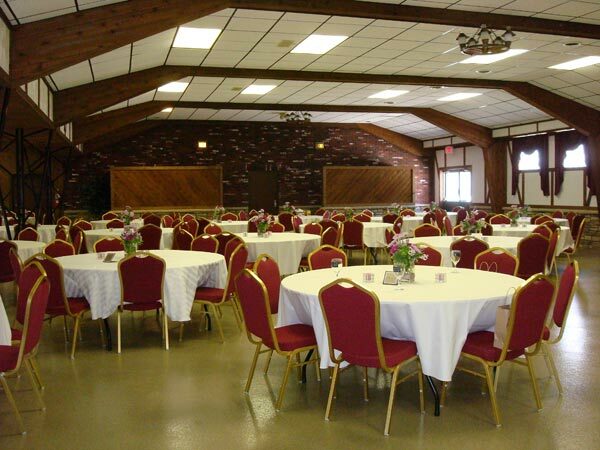 Stricker's Grove also has a hall available for wedding receptions, dances, etc. 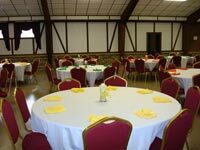 through the fall, winter and spring months for groups up to 500 people. 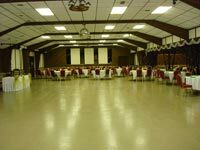 For information and prices to rent the park or hall. 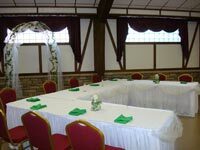 Payment is made at the time you setup or decorate. 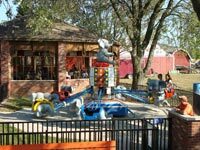 Non-payment will be subject to an additional 1.5% monthly charge. A nonrefundable deposit of $750 will confirm your reservation date. 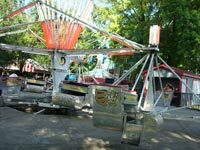 Ohio sales tax does apply and will be added to final invoice. 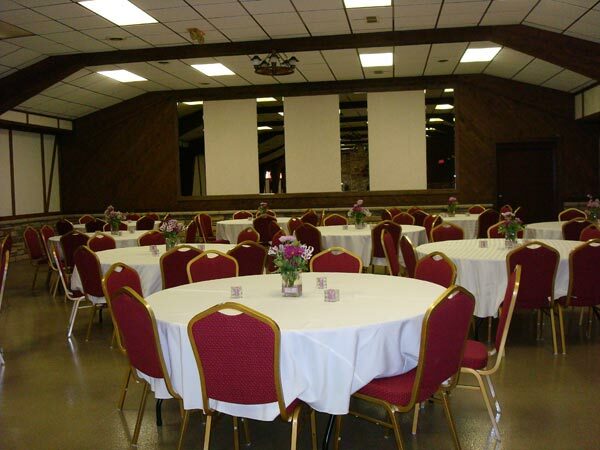 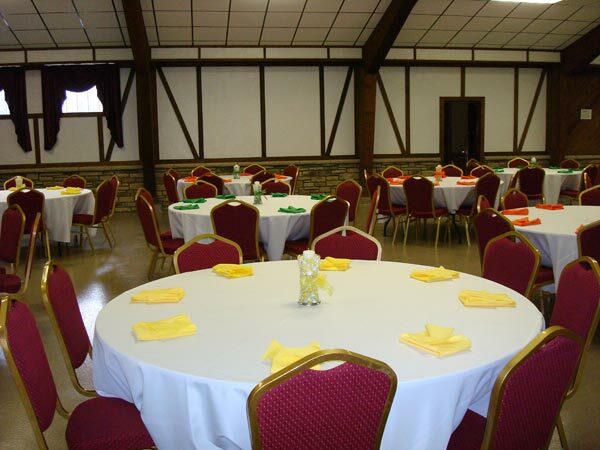 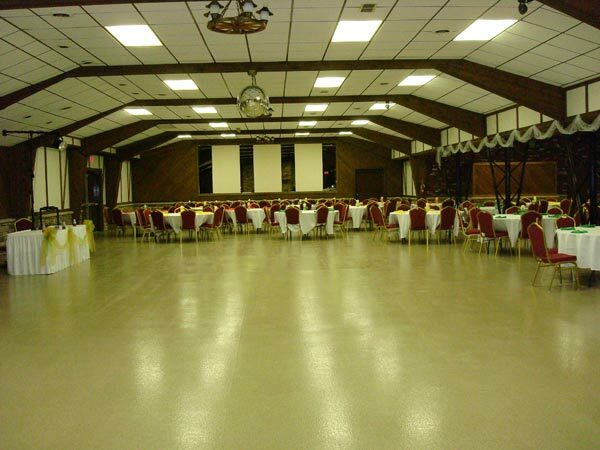 4 Hour Hall Rental - If your event requires additional time, the hall can be reserved at $300.00 per hour. 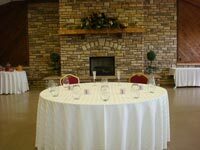 Round / Rectangular Tables - Events of more than 250 people will require rectangle tables. Stricker’s Grove is a family owned and operated private amusement park. 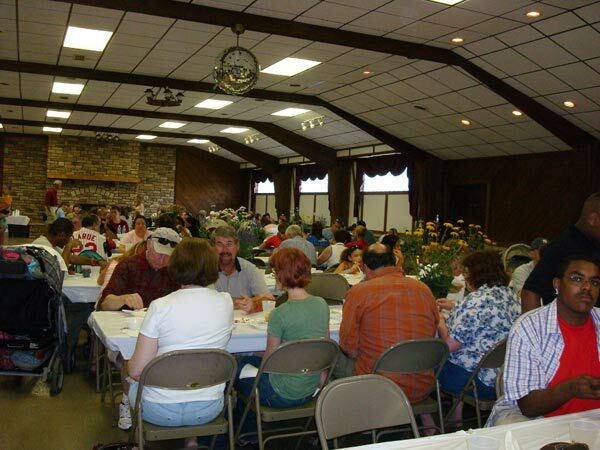 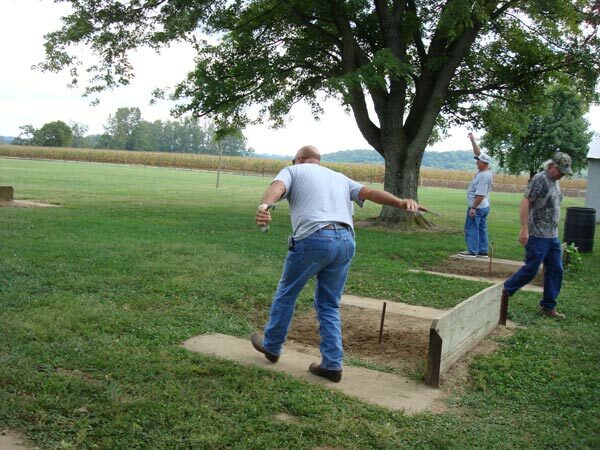 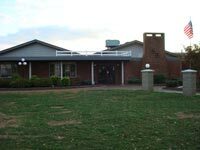 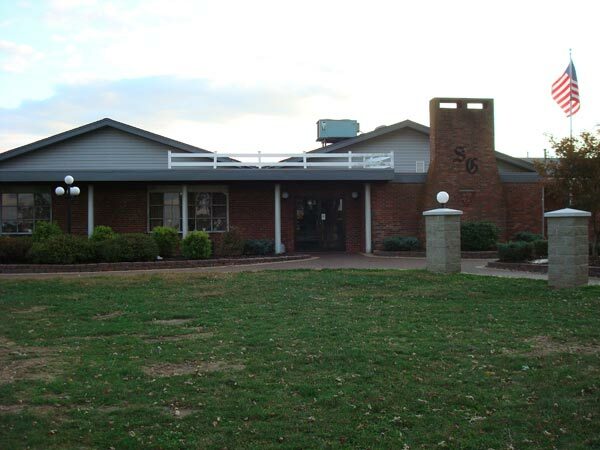 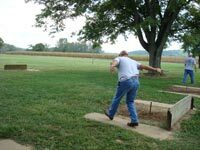 It is located at 11490 Hamilton-Cleves Road, near Ross Ohio in Crosby Township, just north of Cincinnati, Ohio. It is a park for families and children.